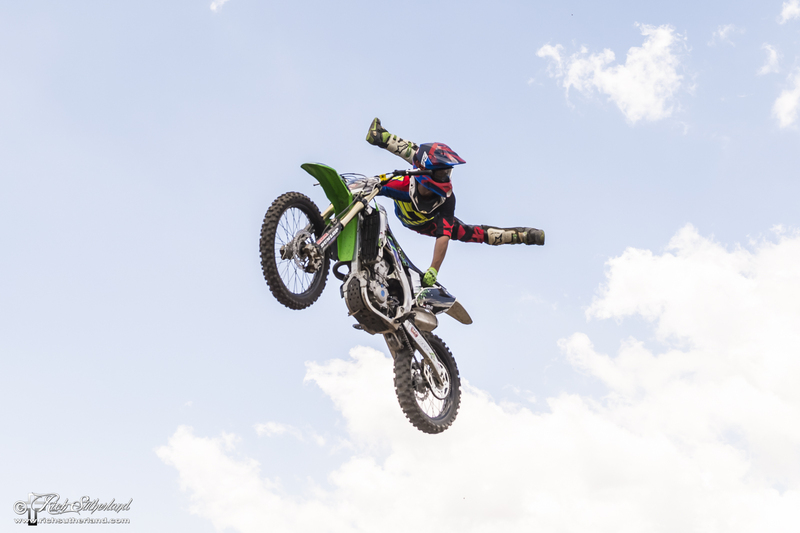 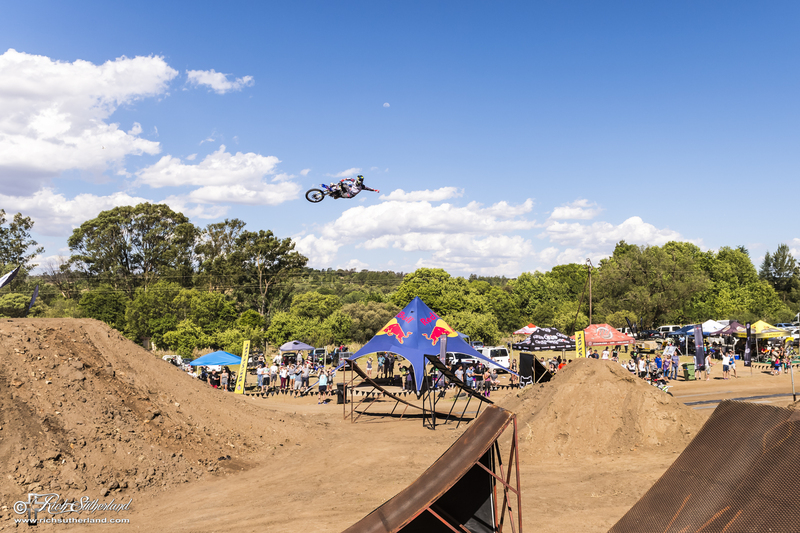 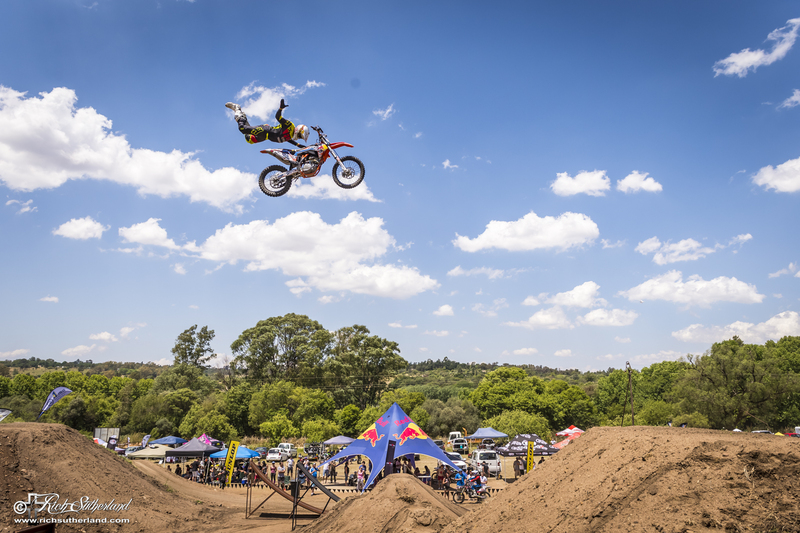 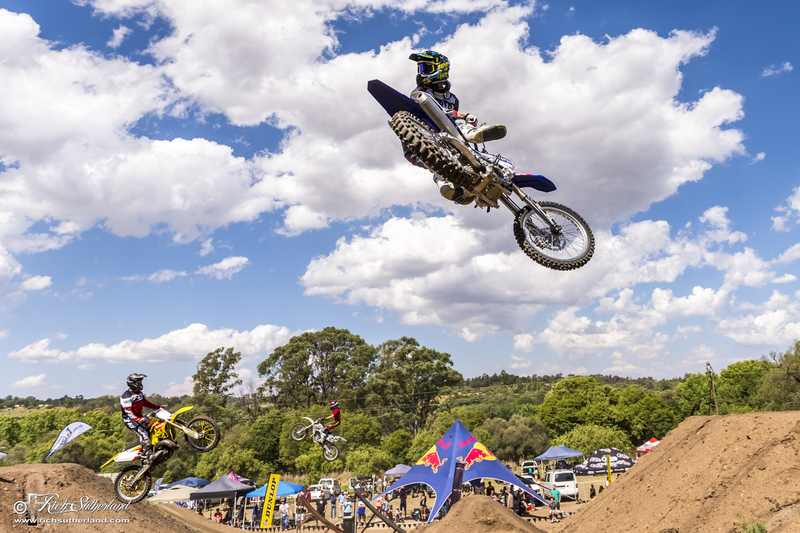 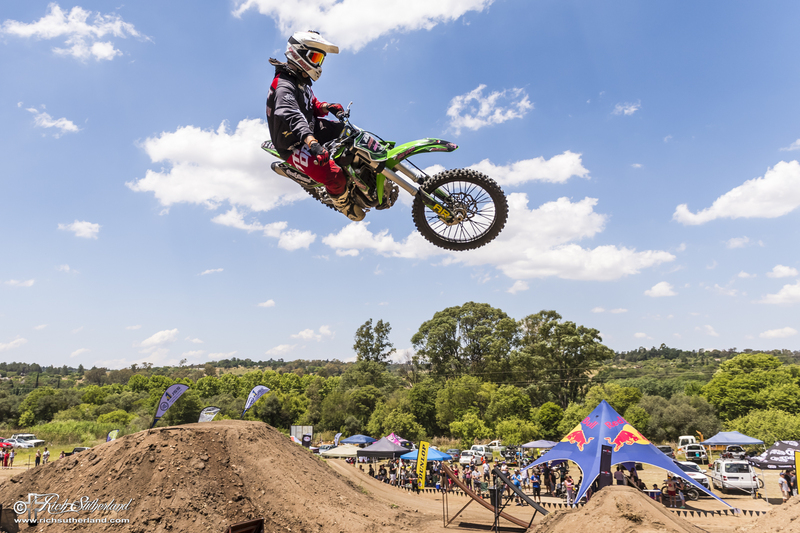 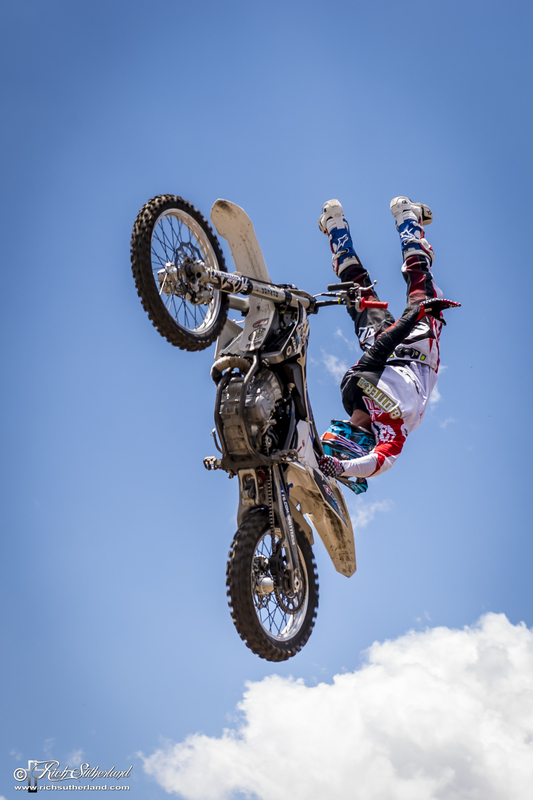 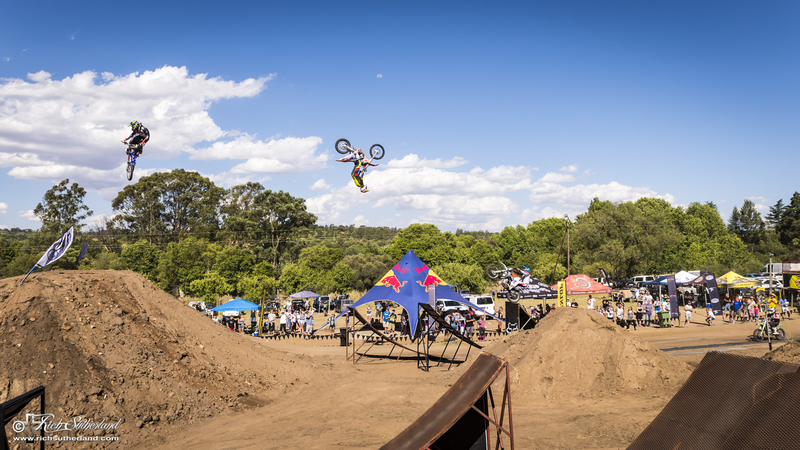 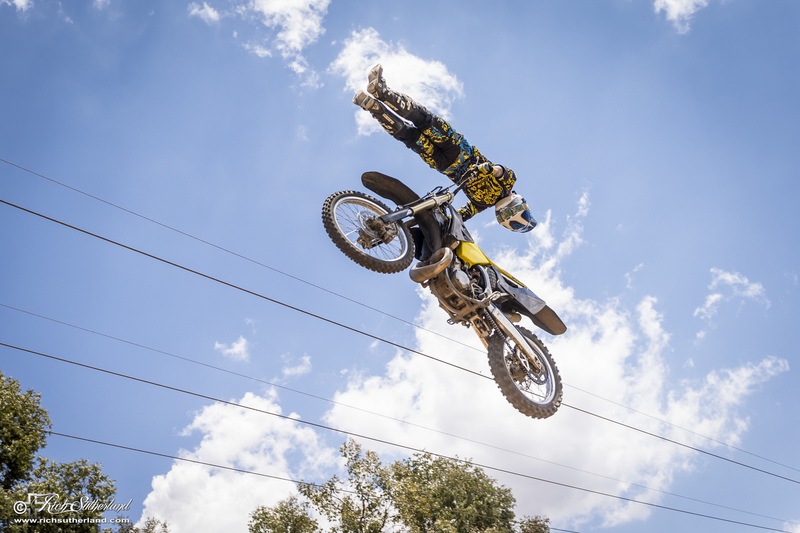 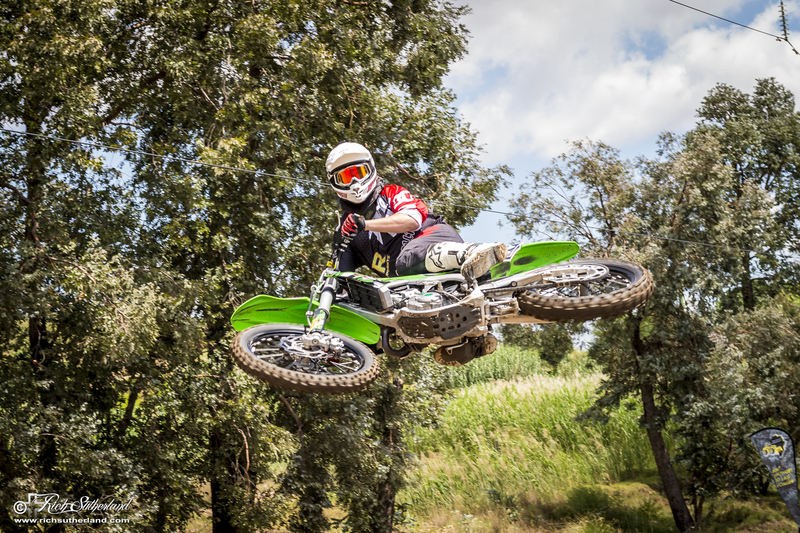 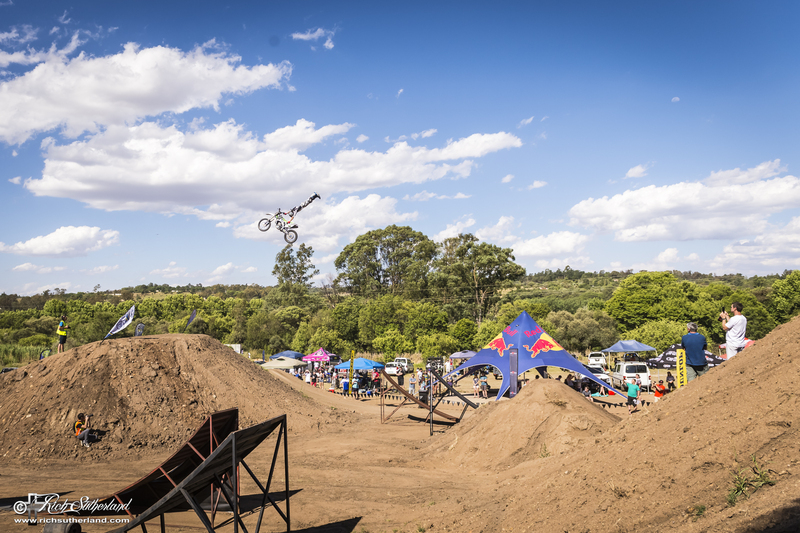 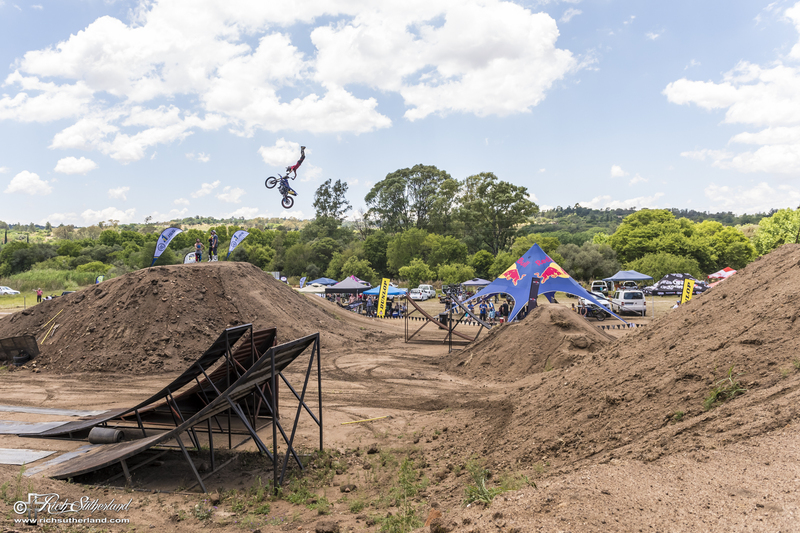 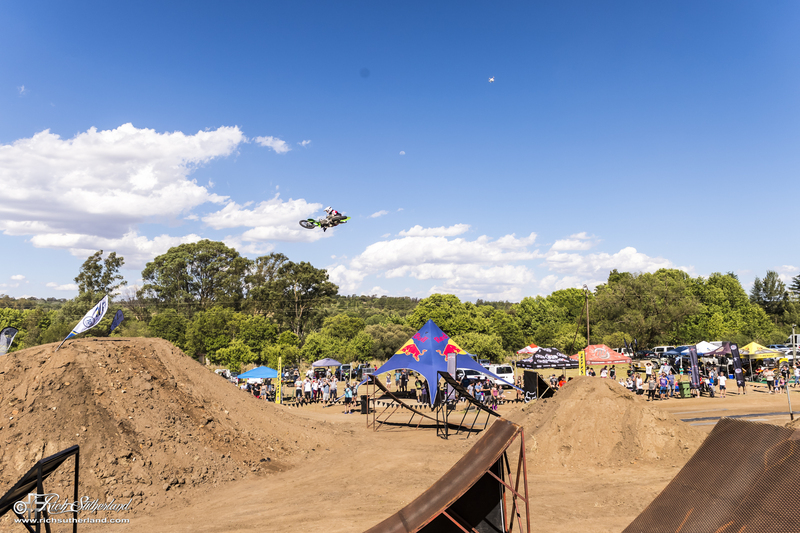 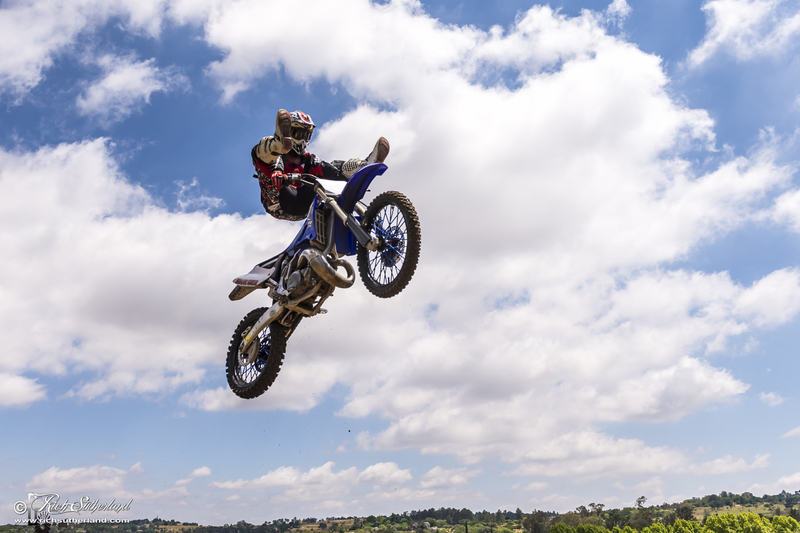 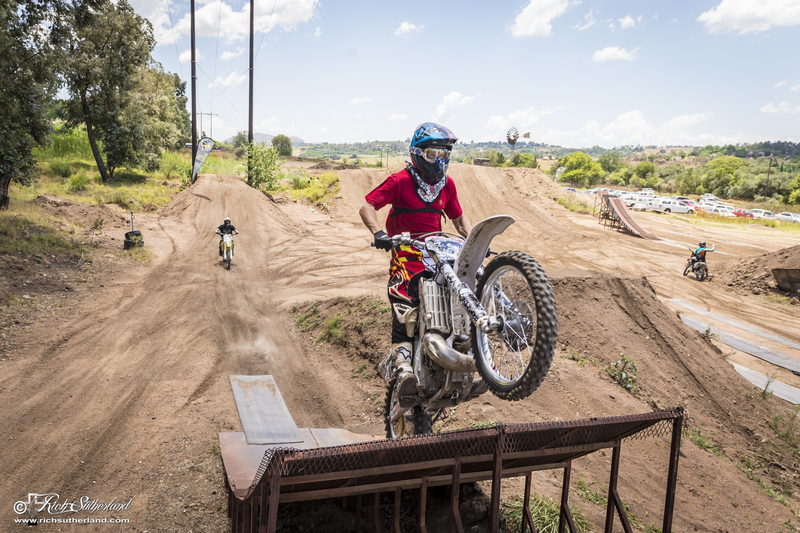 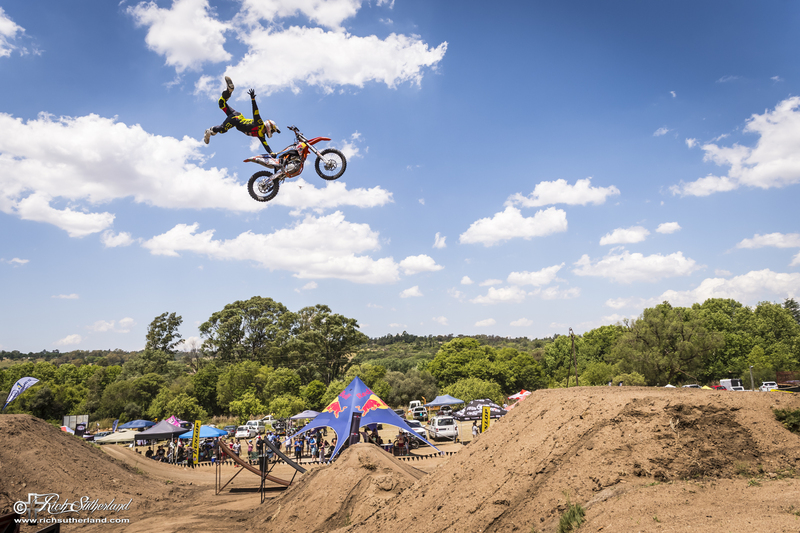 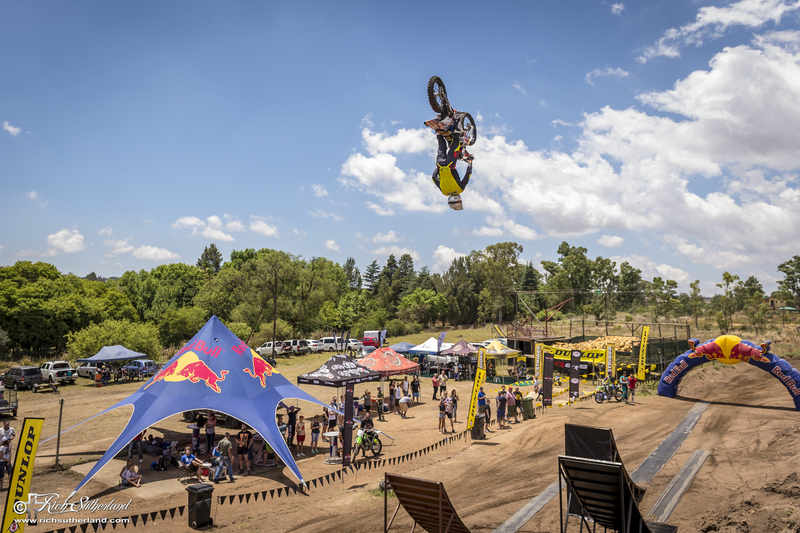 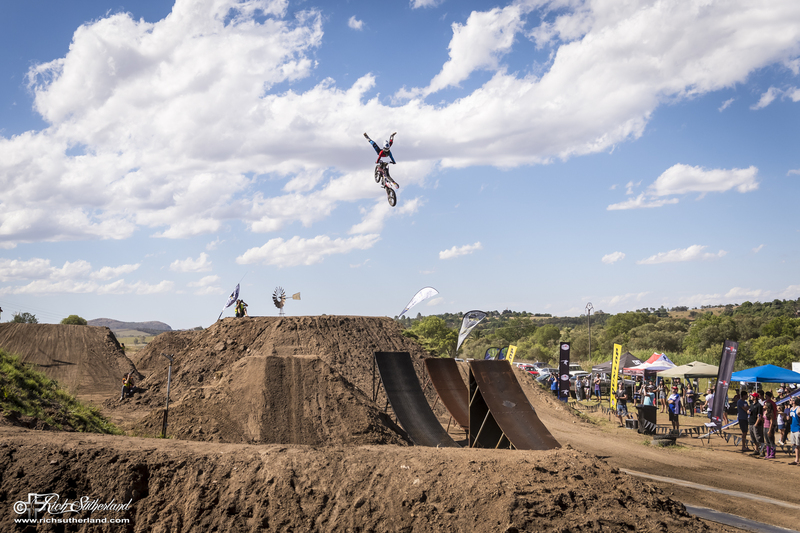 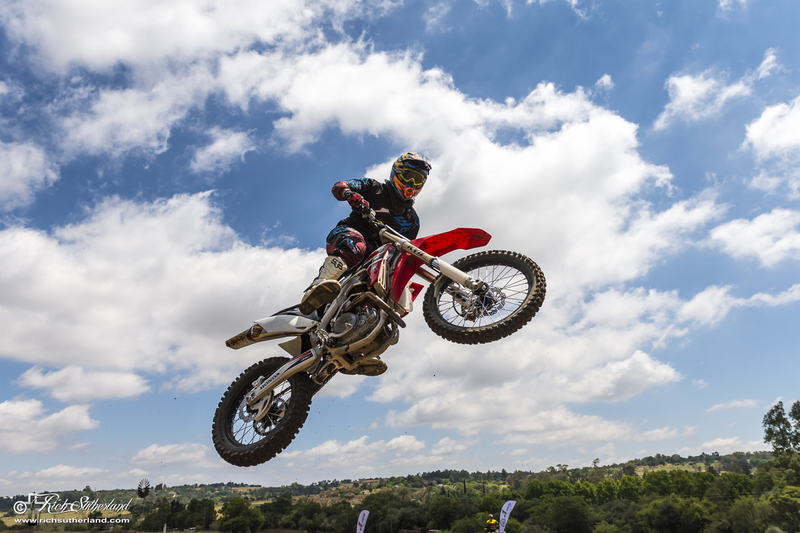 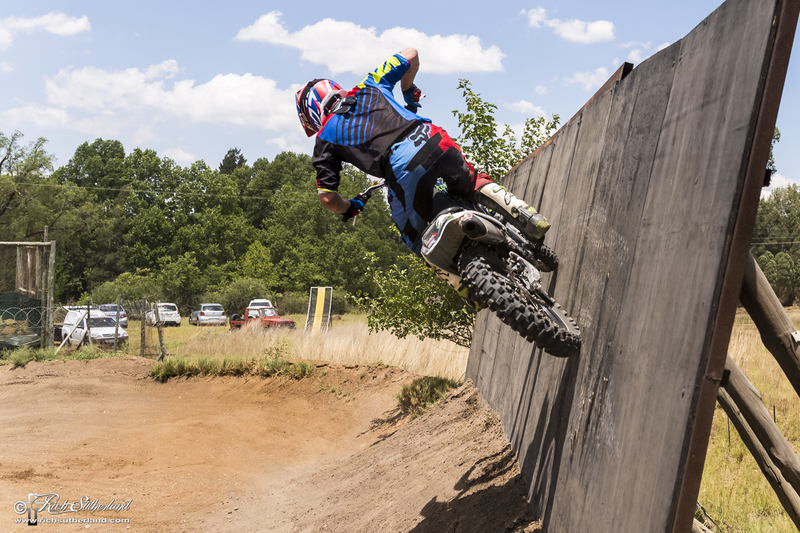 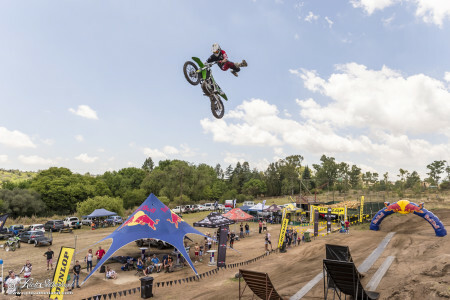 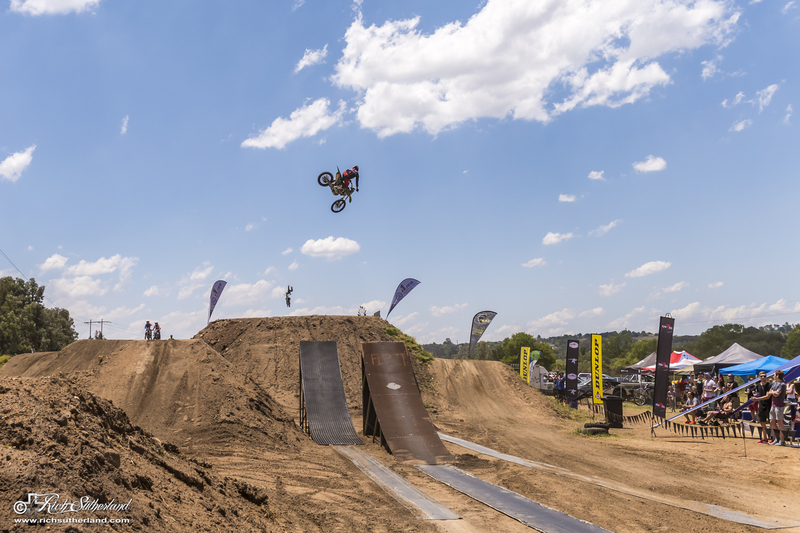 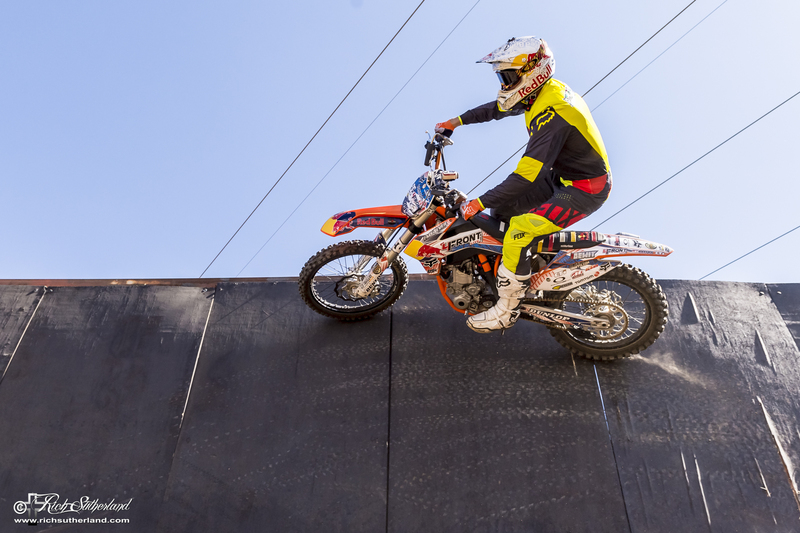 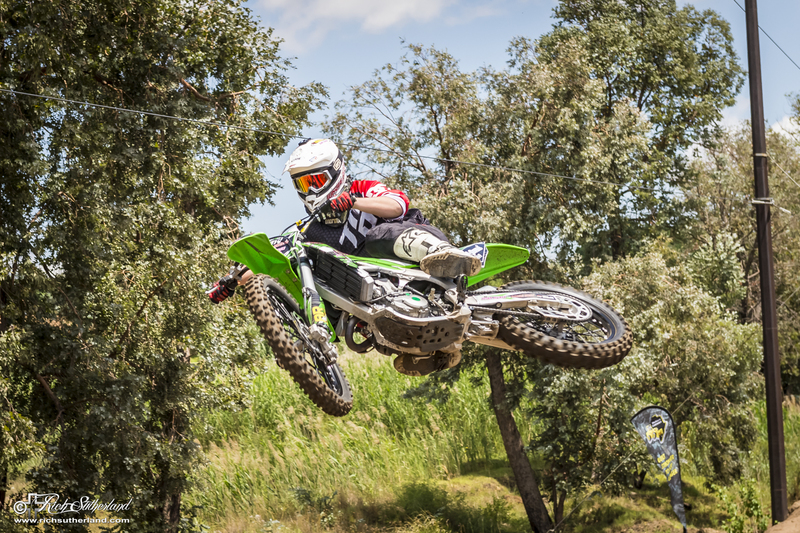 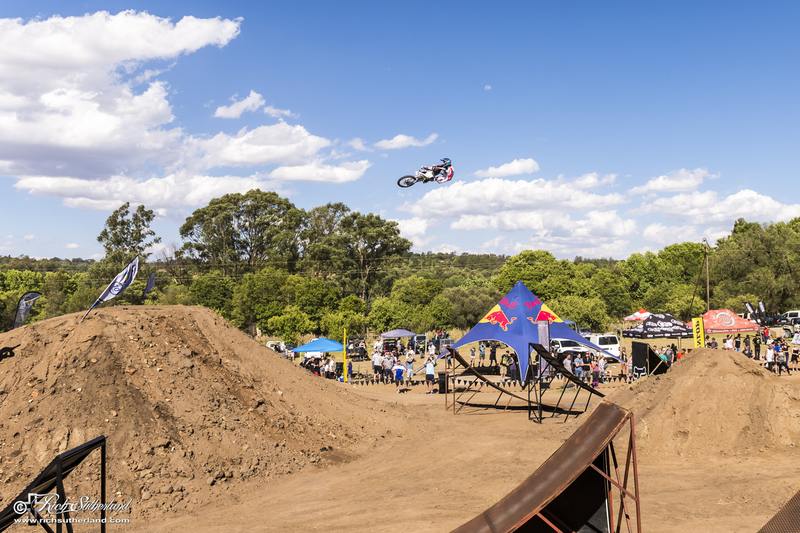 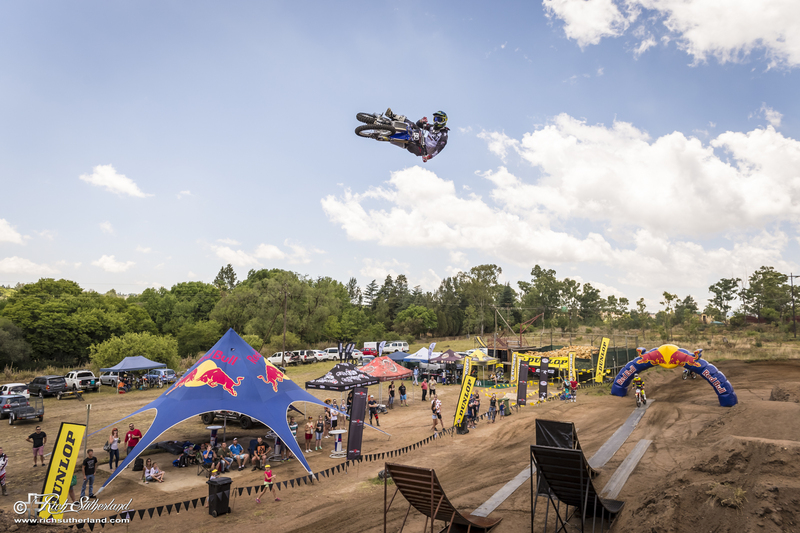 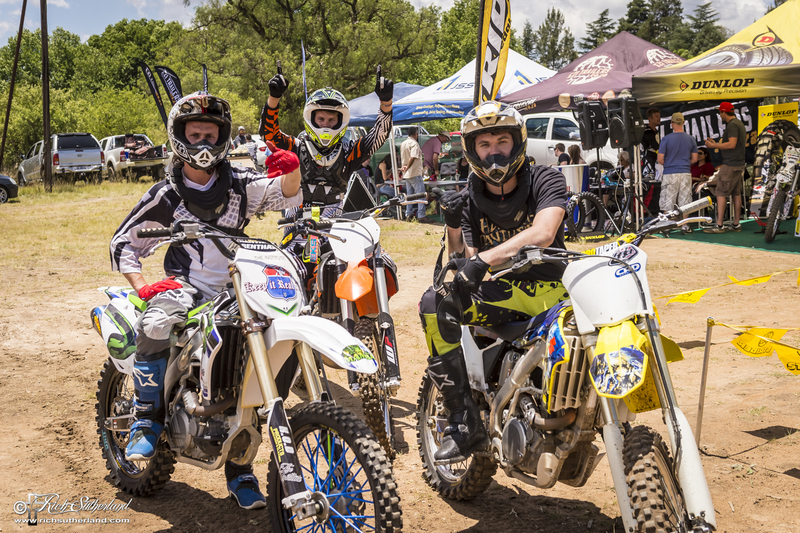 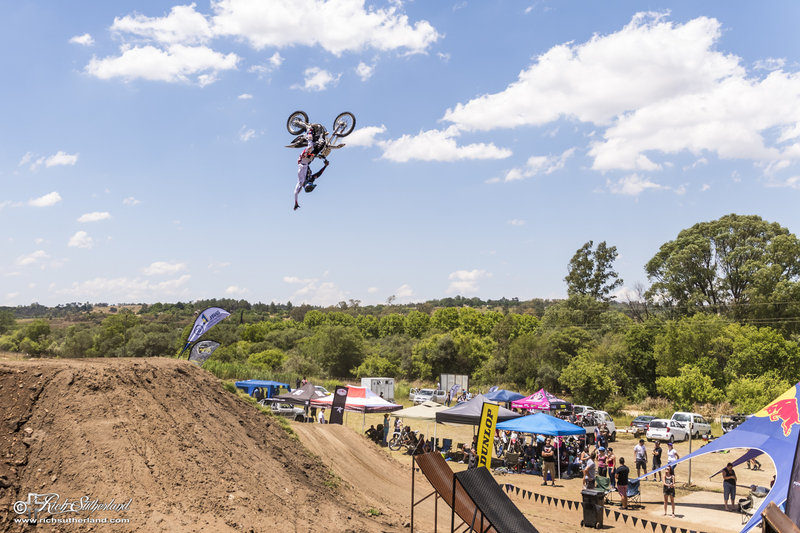 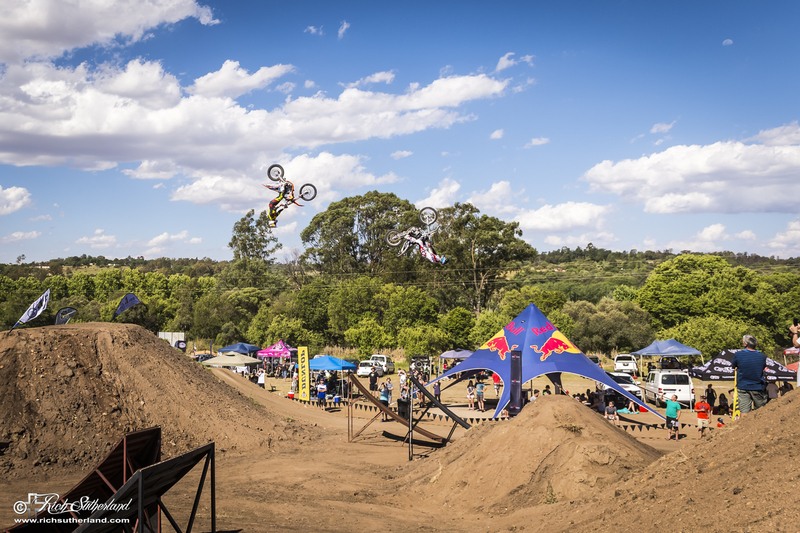 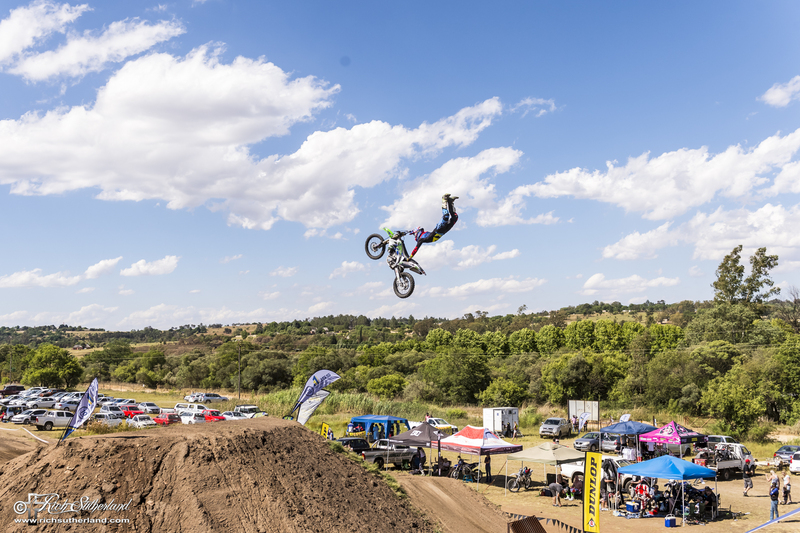 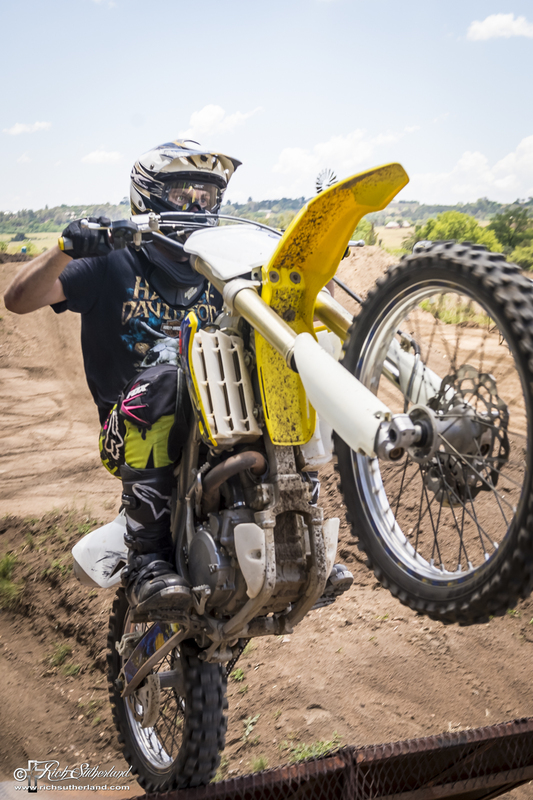 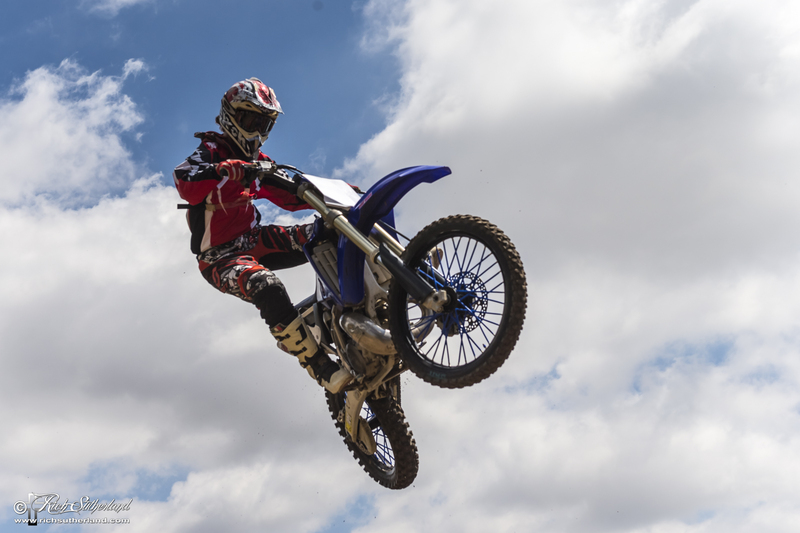 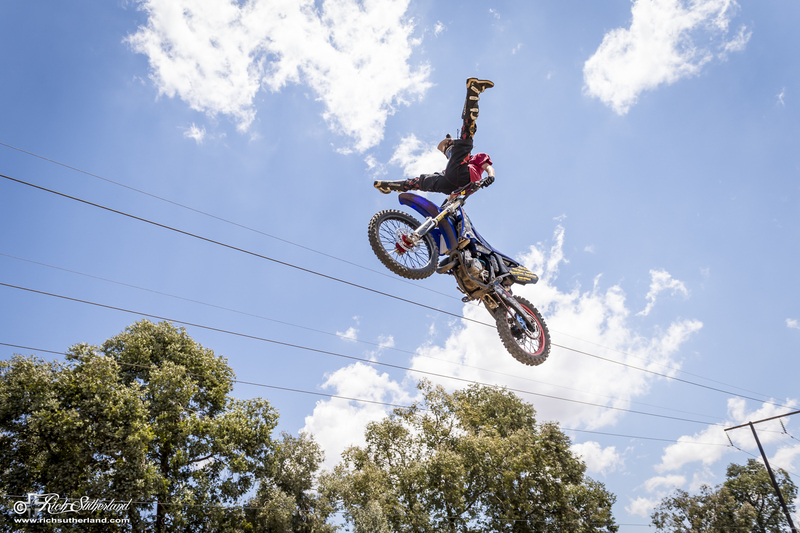 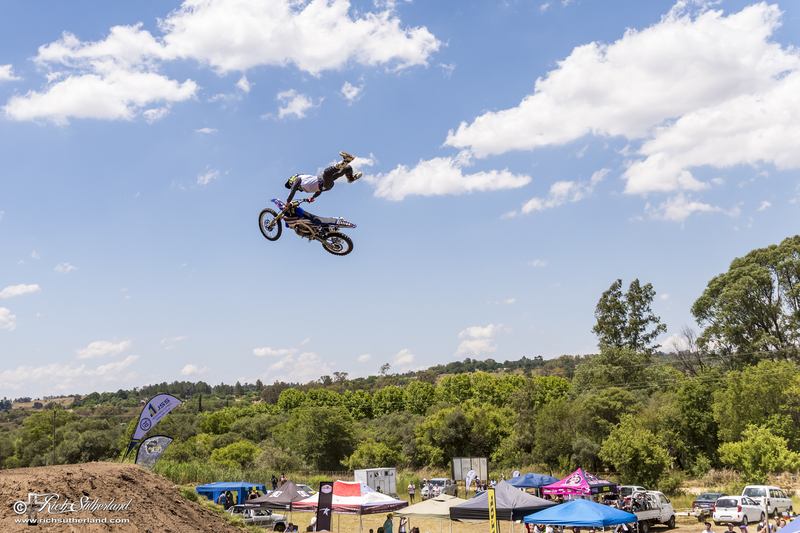 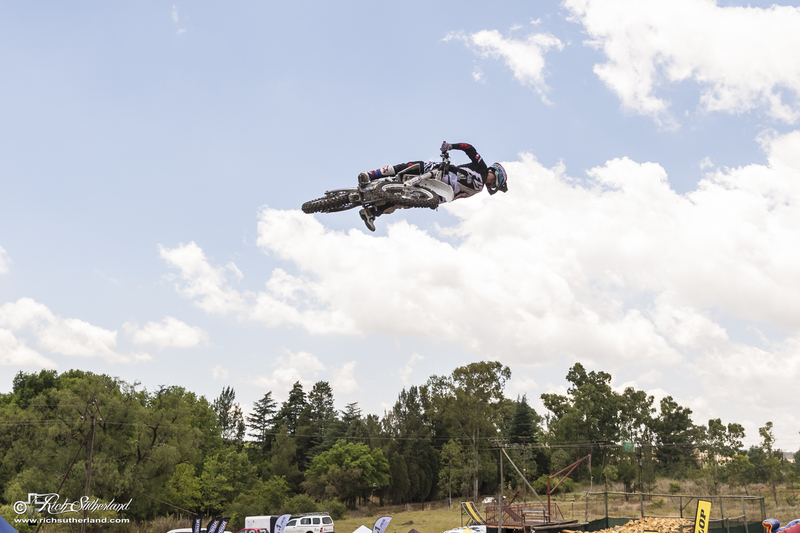 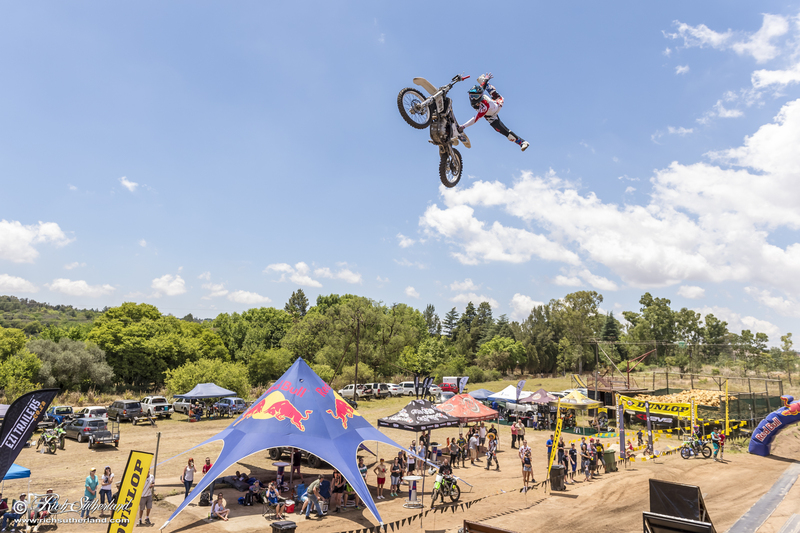 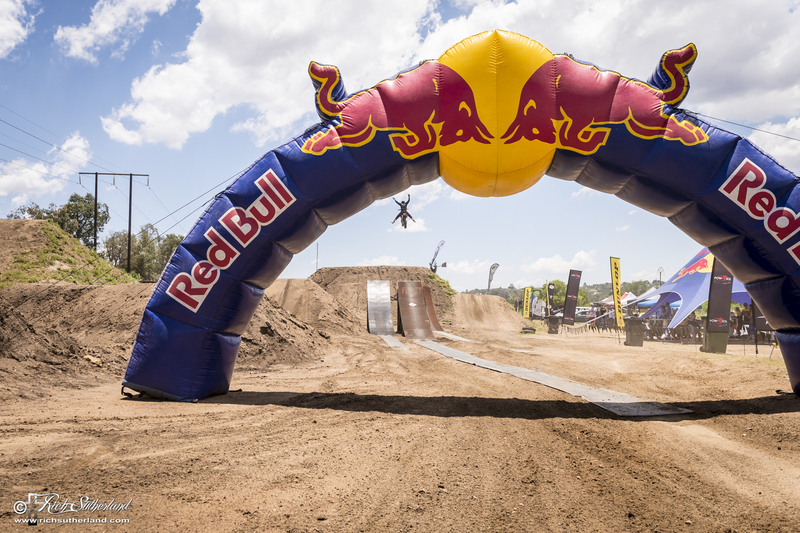 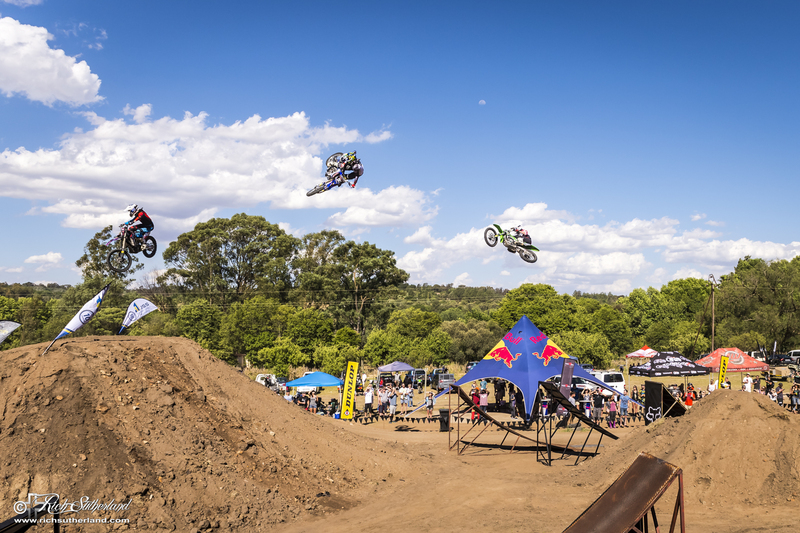 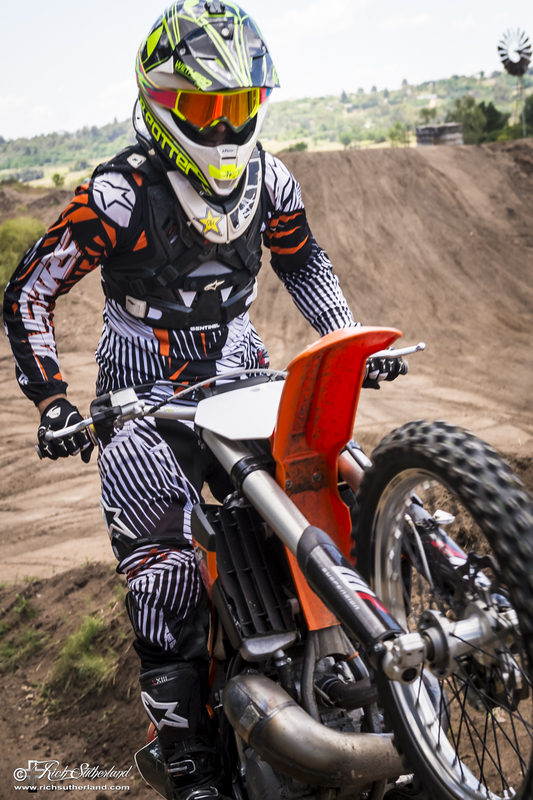 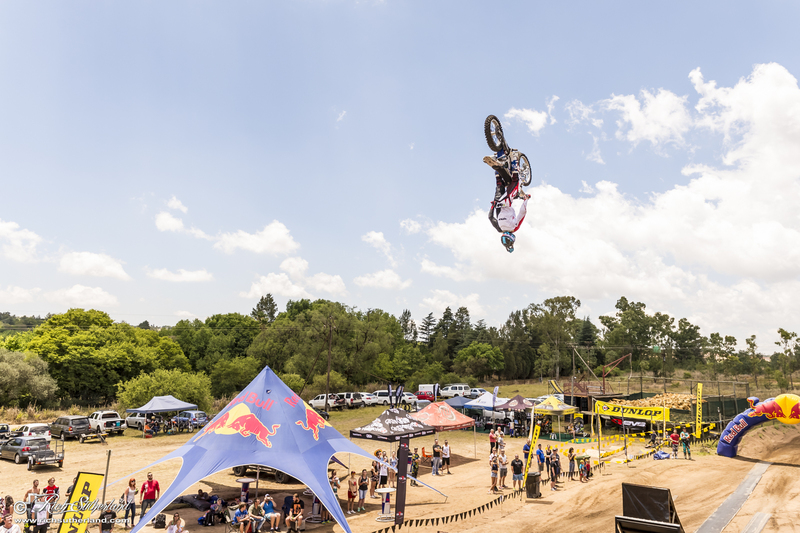 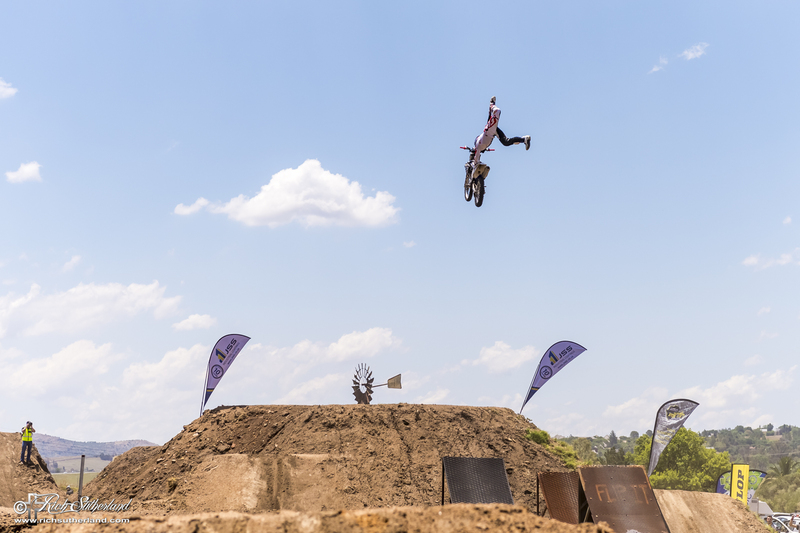 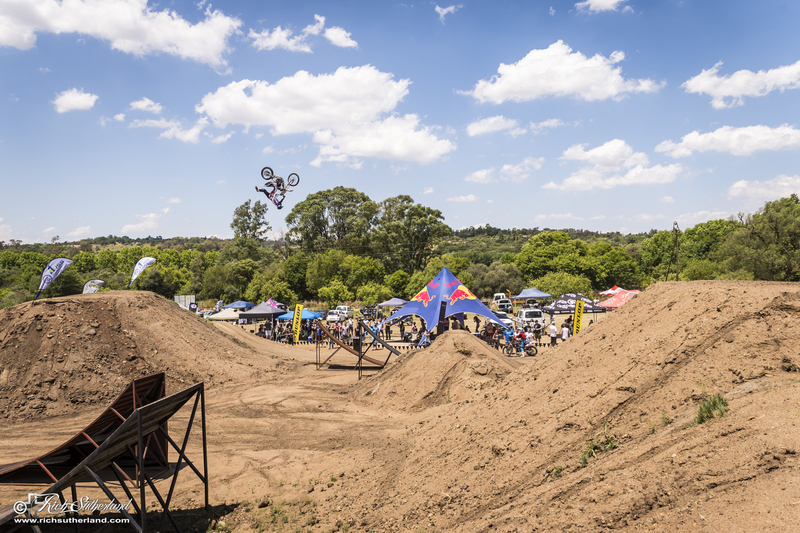 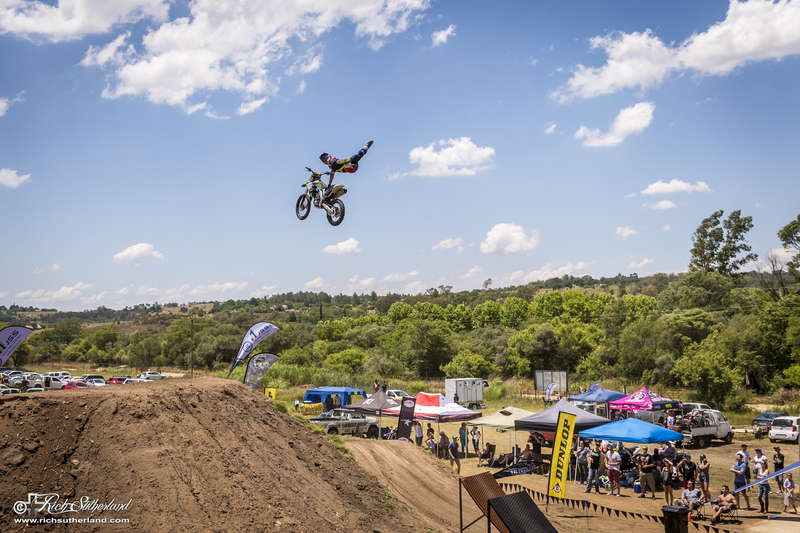 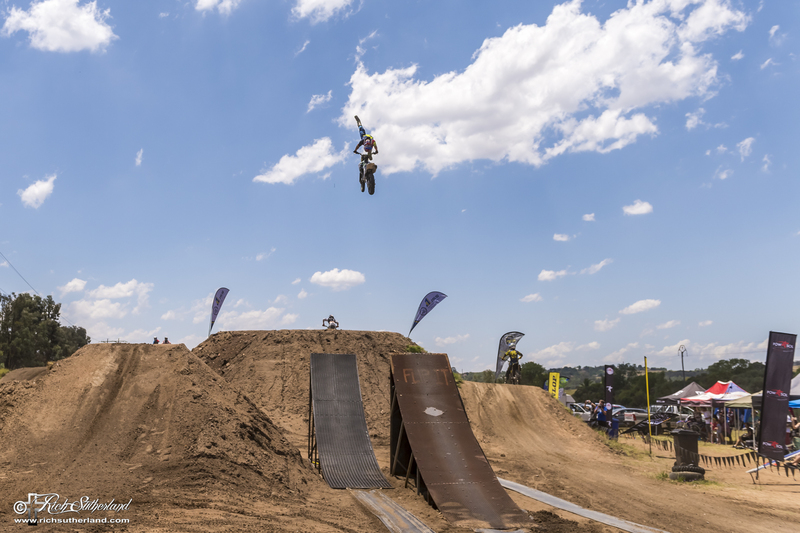 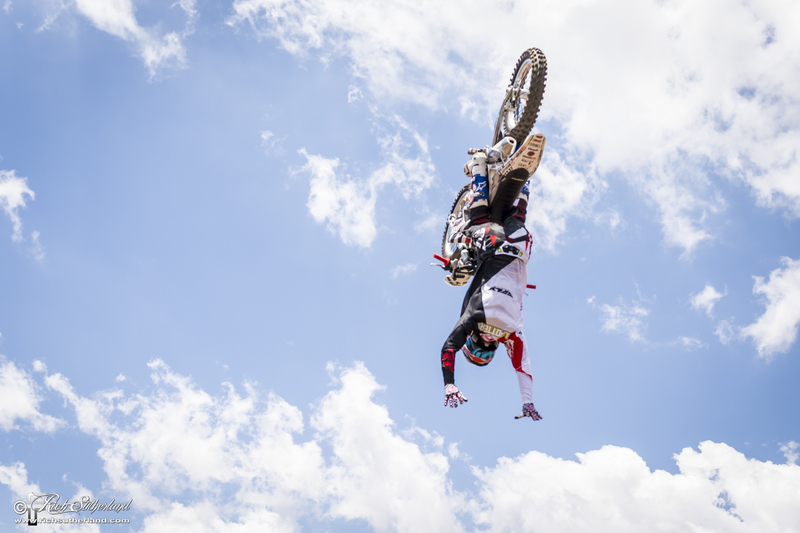 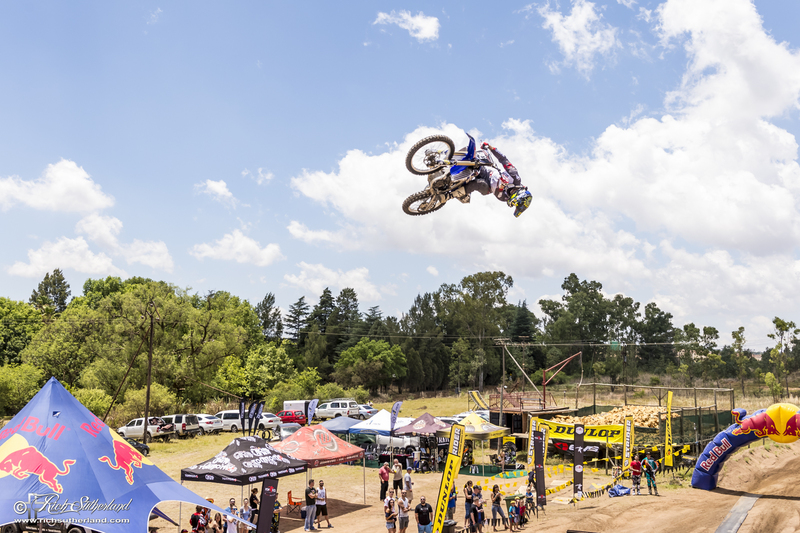 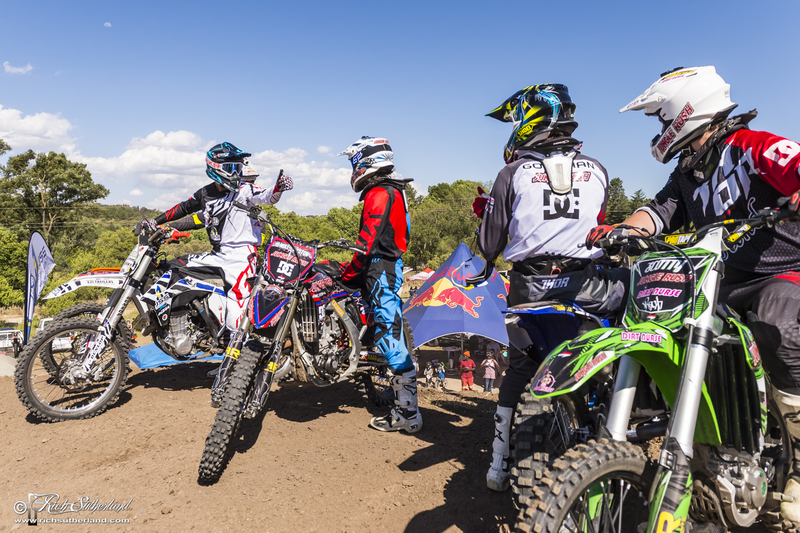 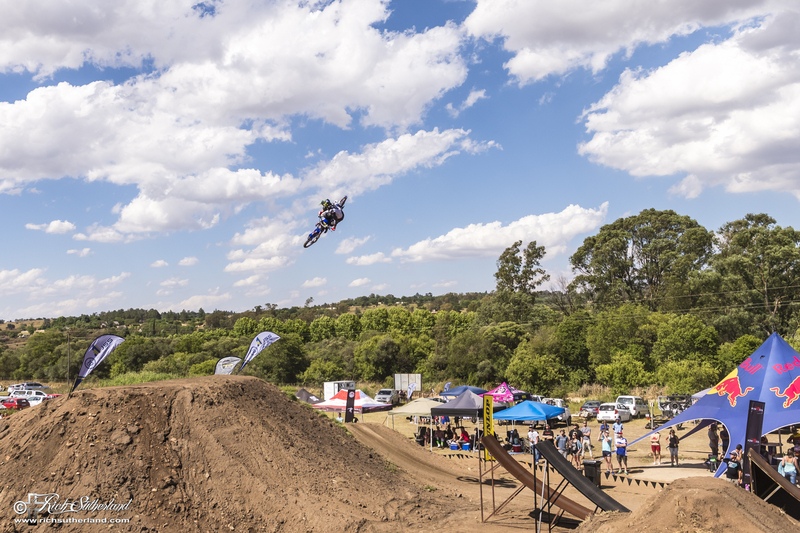 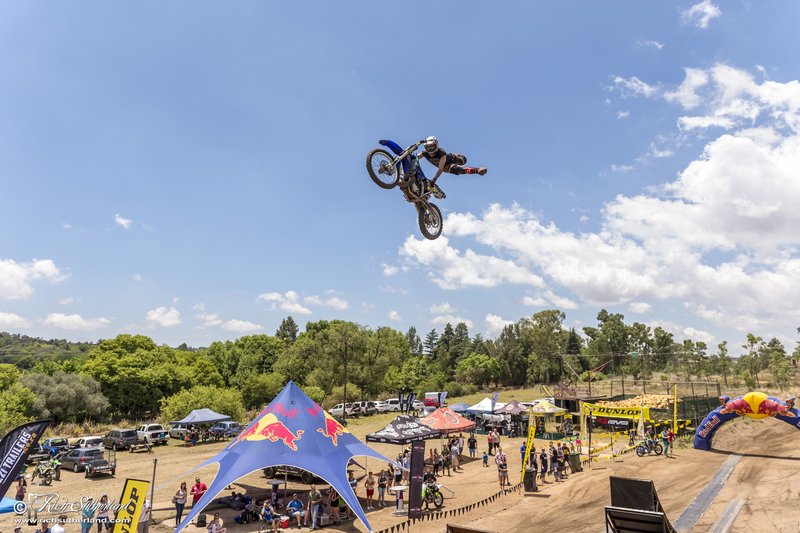 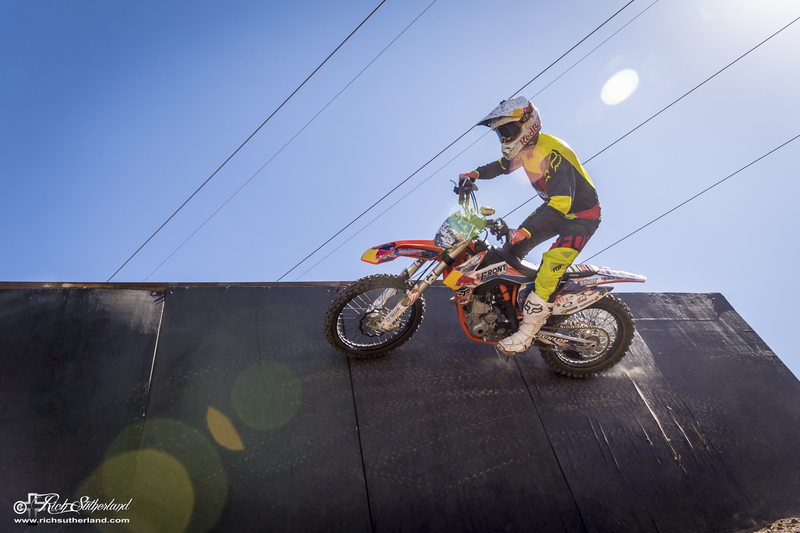 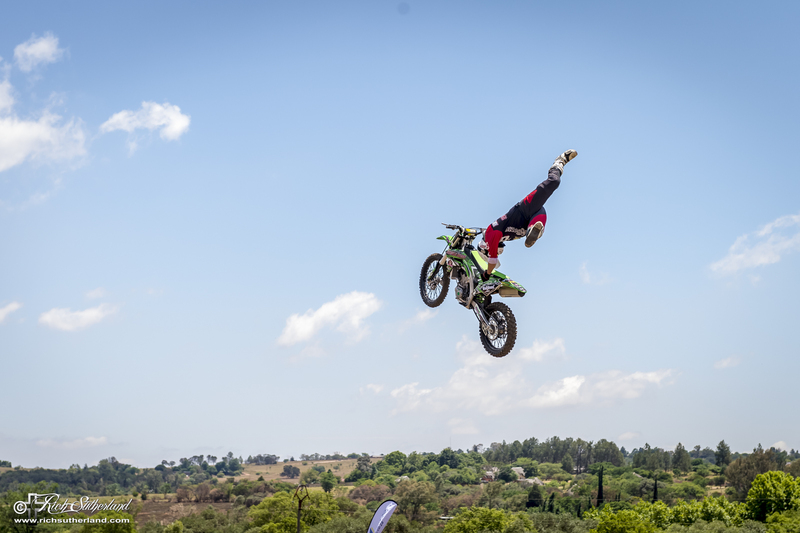 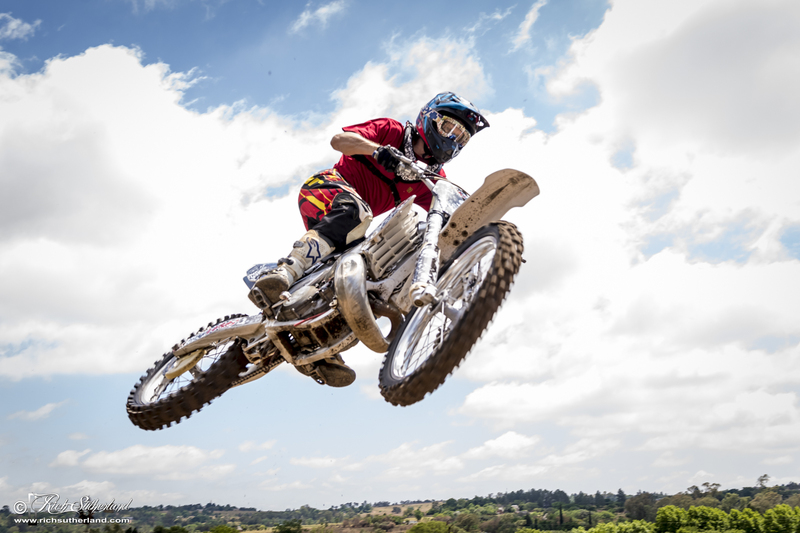 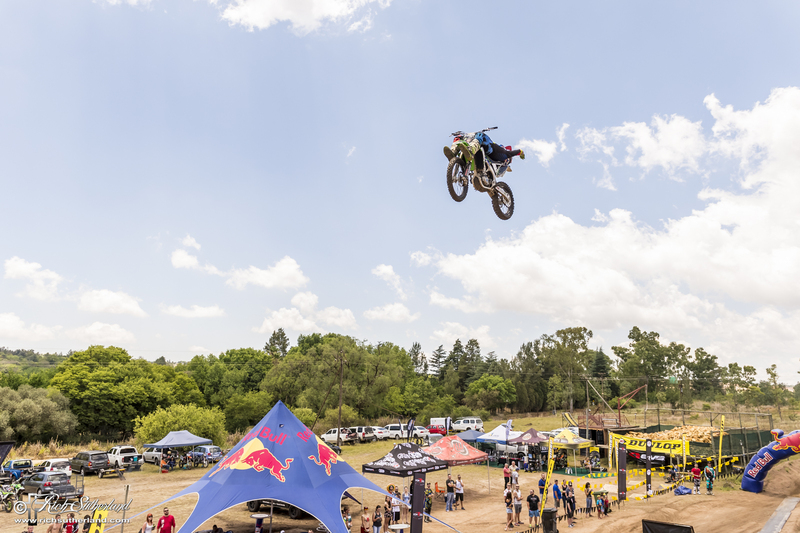 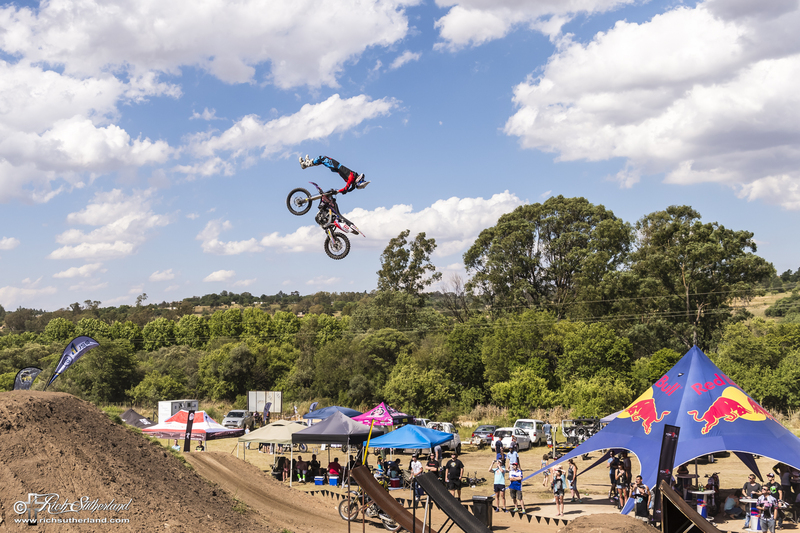 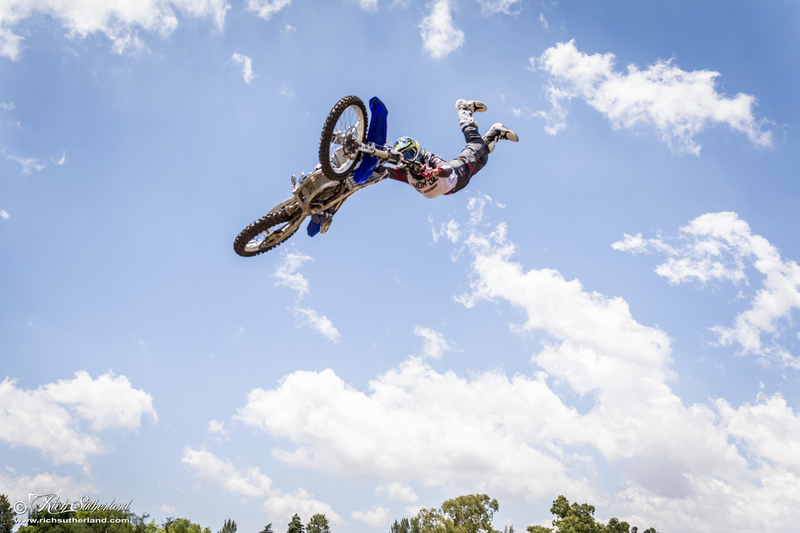 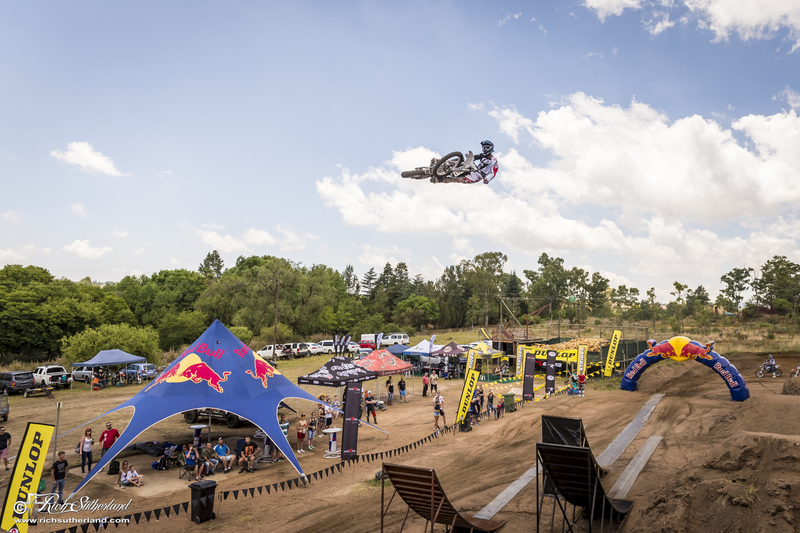 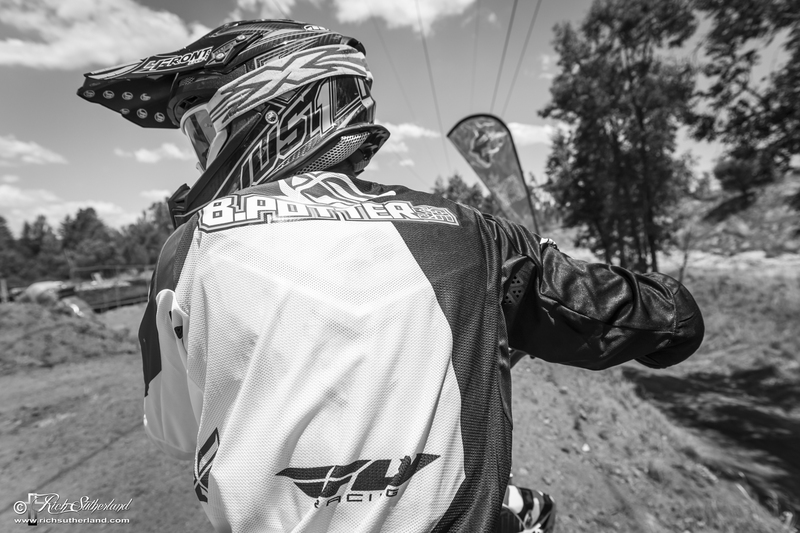 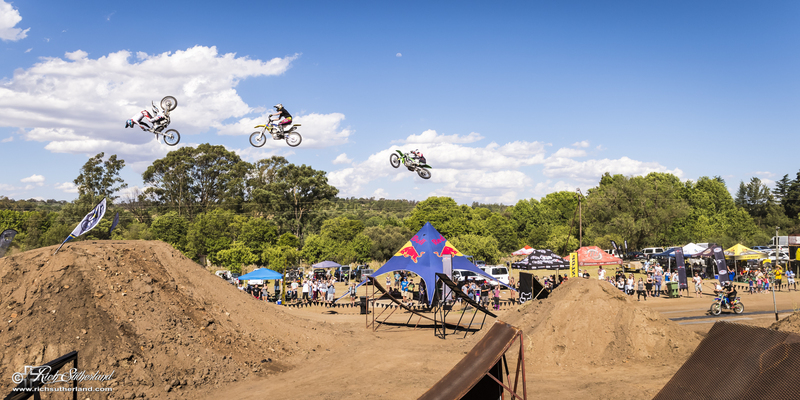 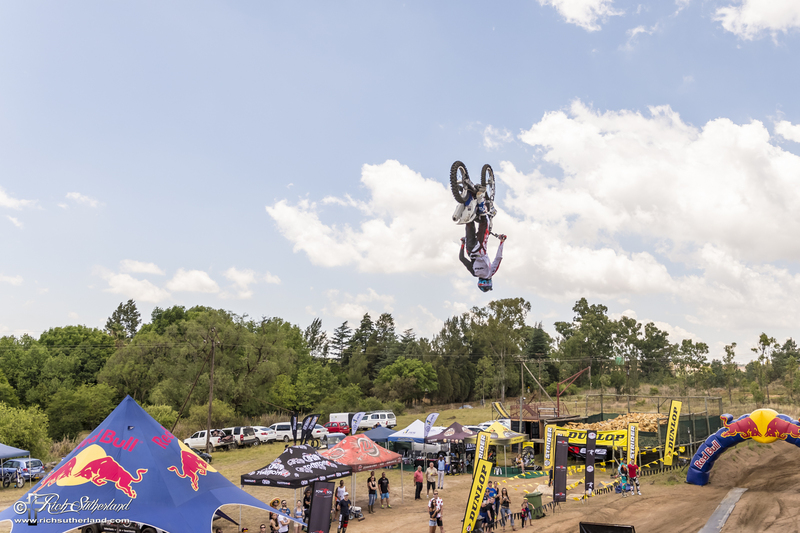 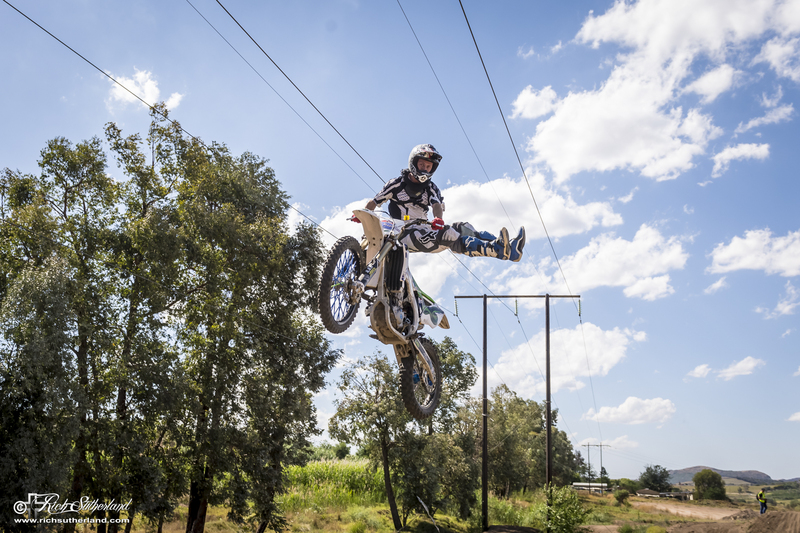 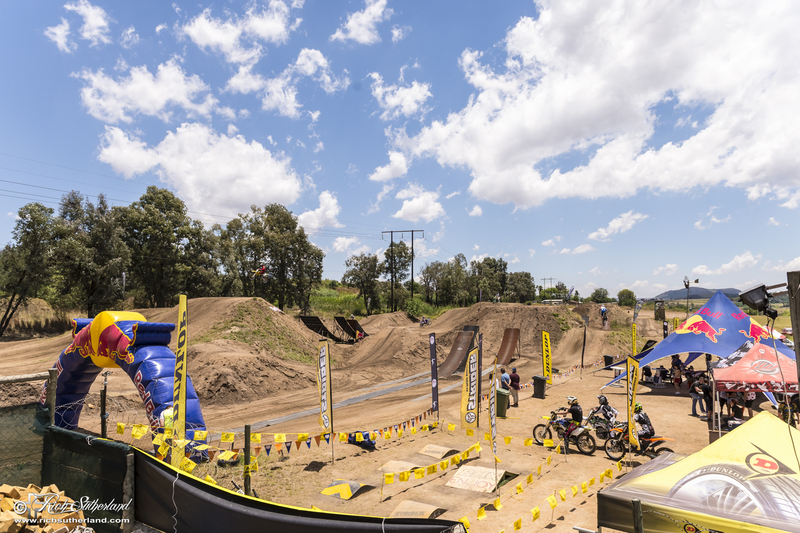 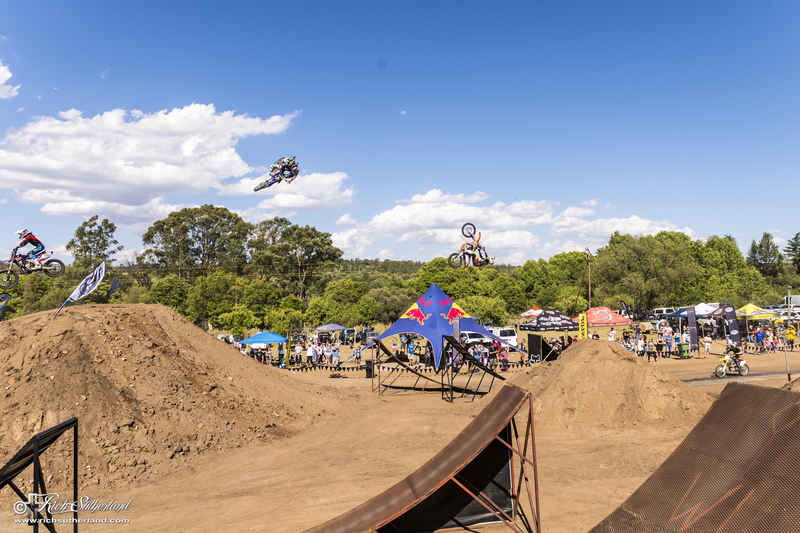 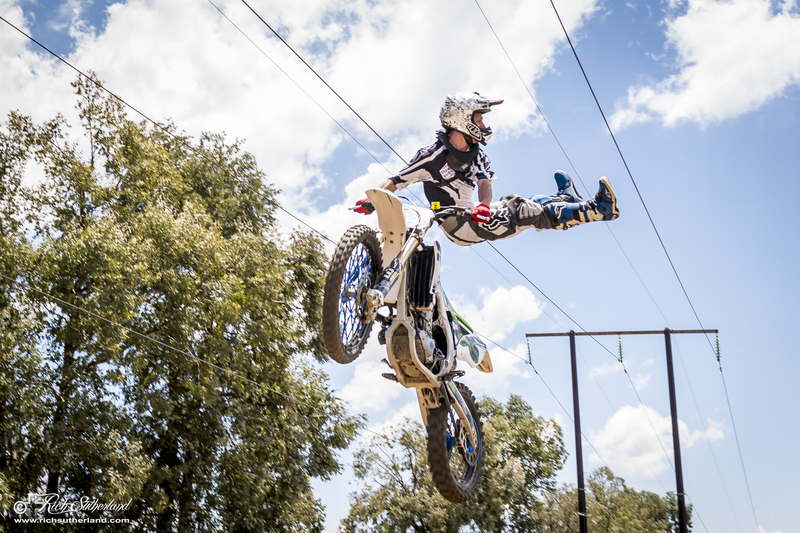 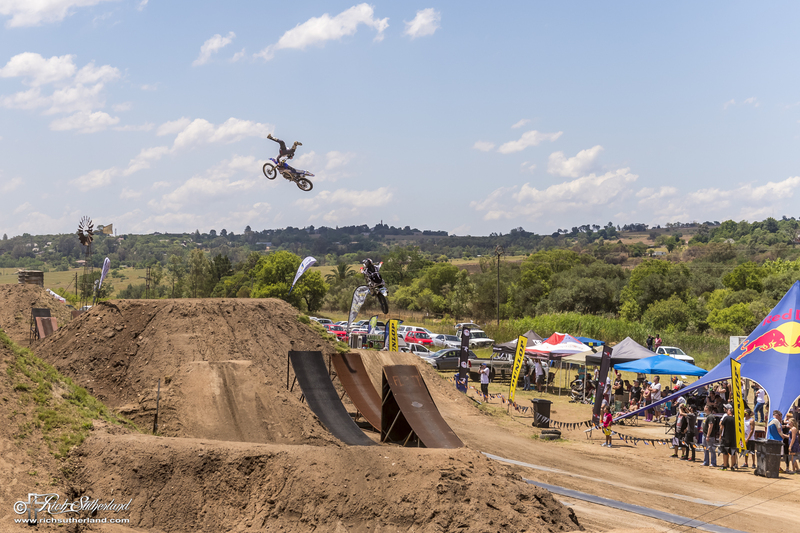 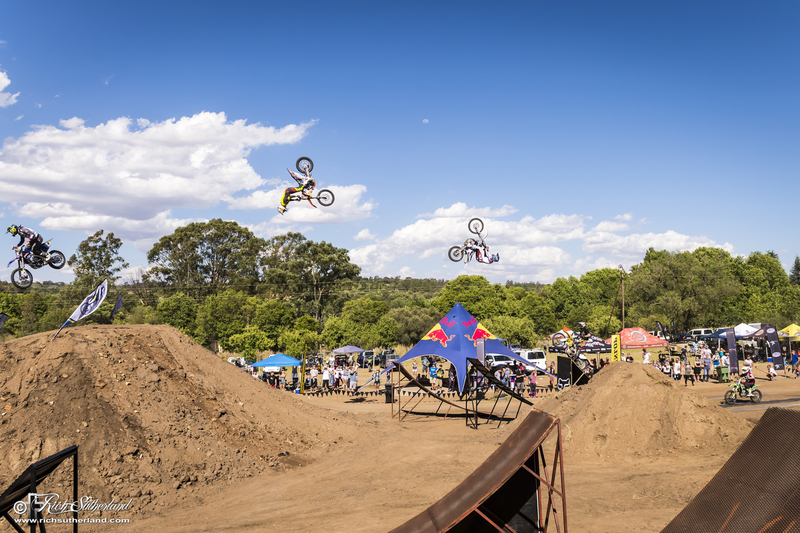 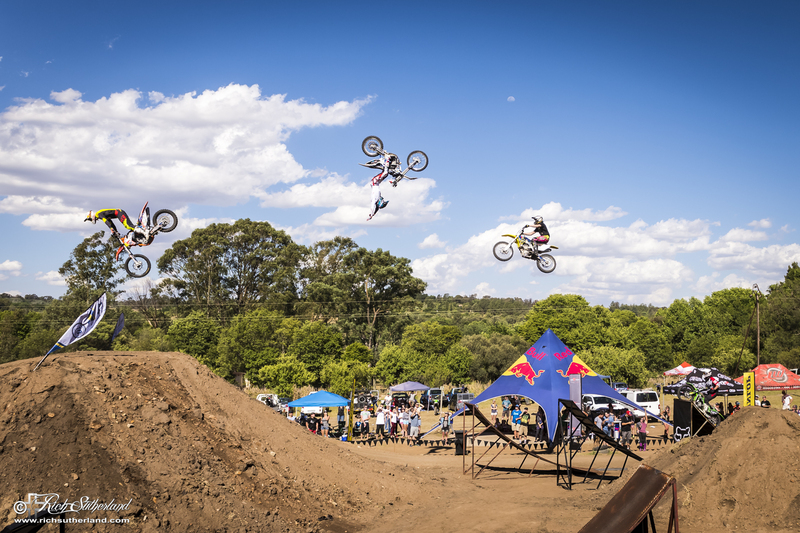 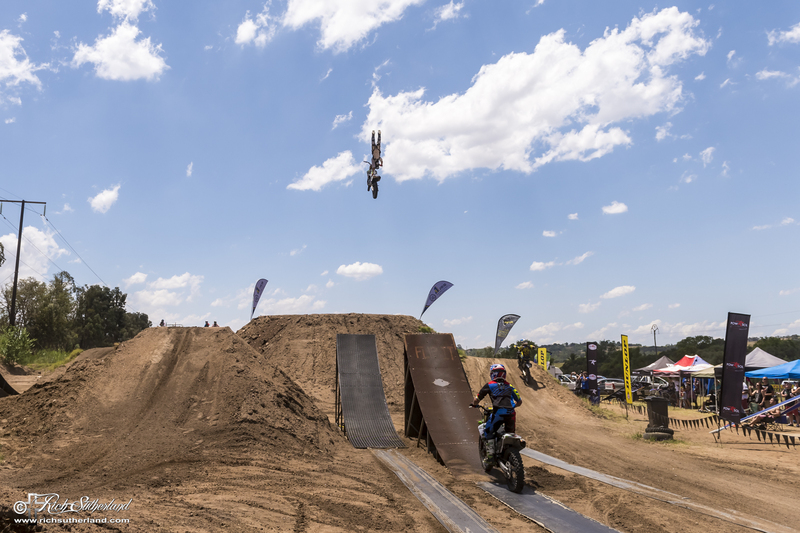 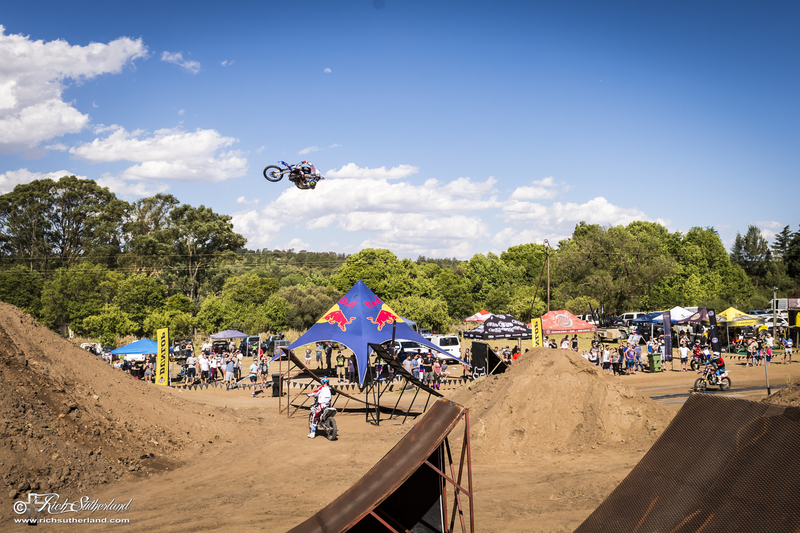 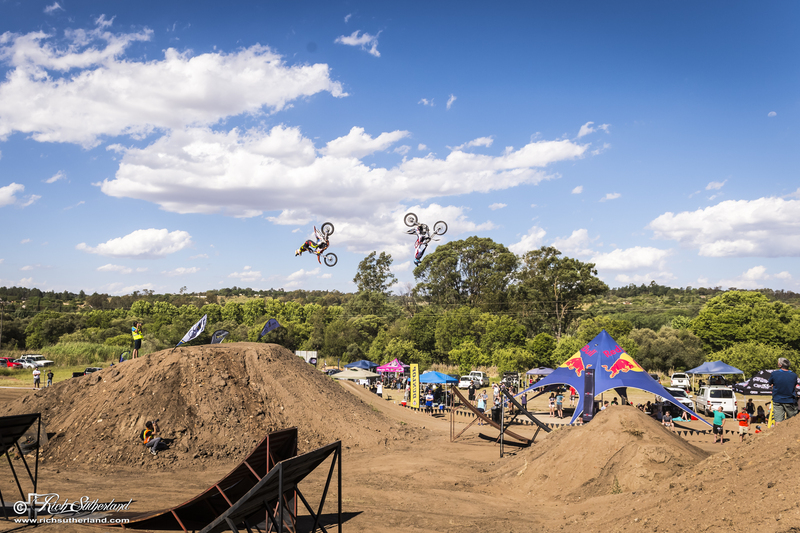 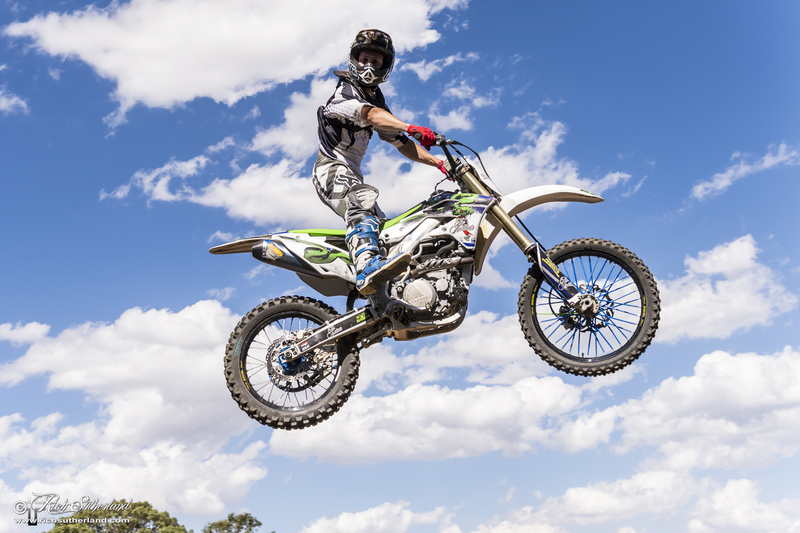 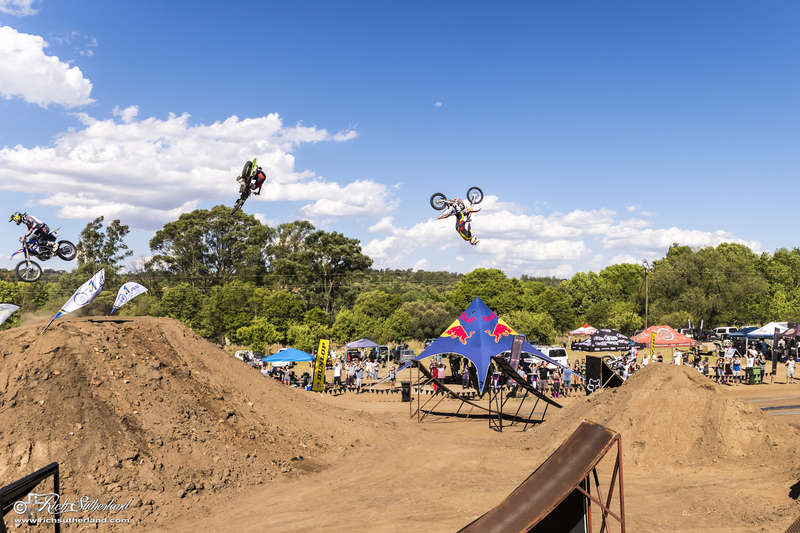 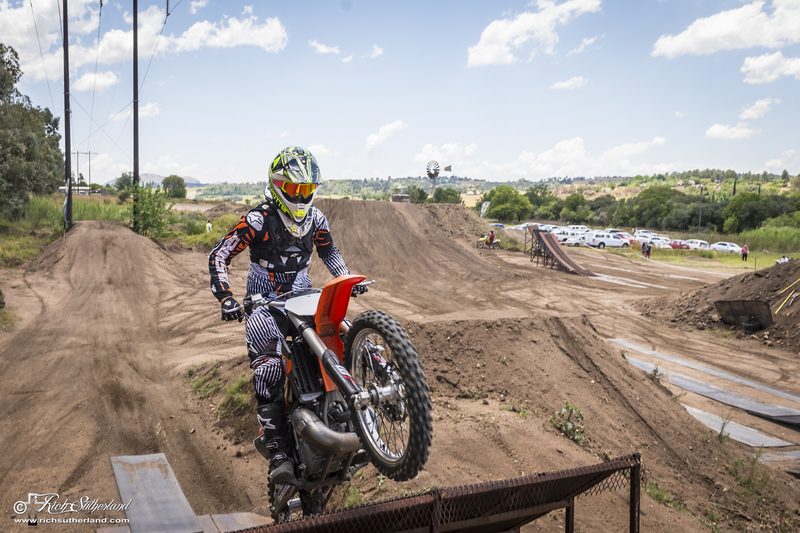 This past weekend saw the 4Front Live FMX Open Day take place at Nick De Wit’s park in Muldersdrift, Gauteng. 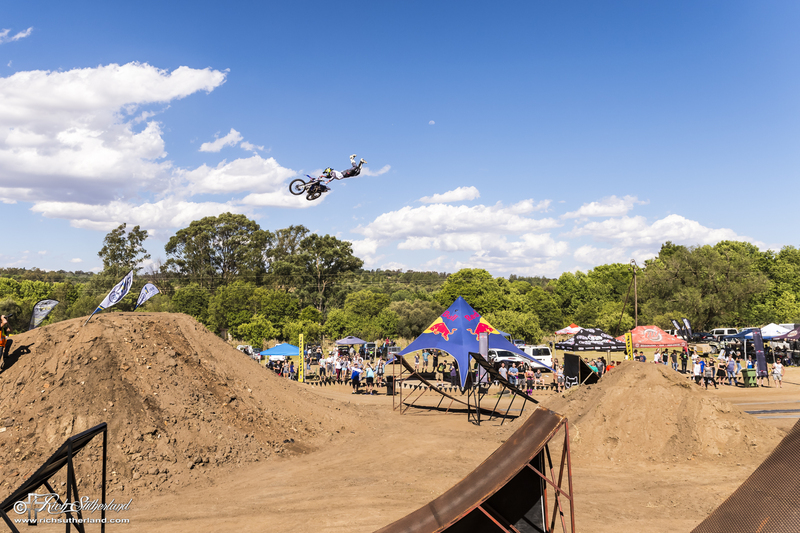 Being the final Freestyle Motocross Open Day of the year it was well attended and a great success. 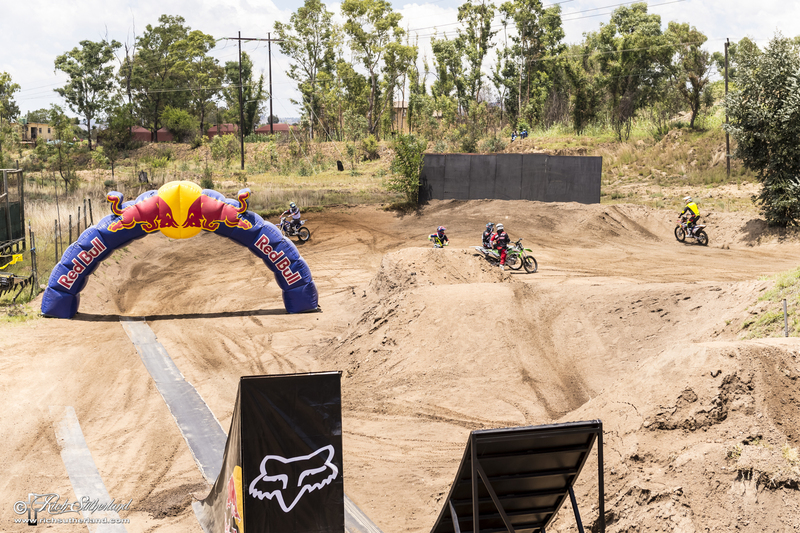 22 riders put their skills to the test on the well-prepped track. 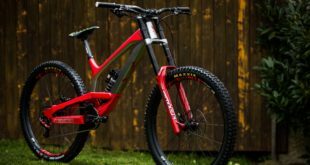 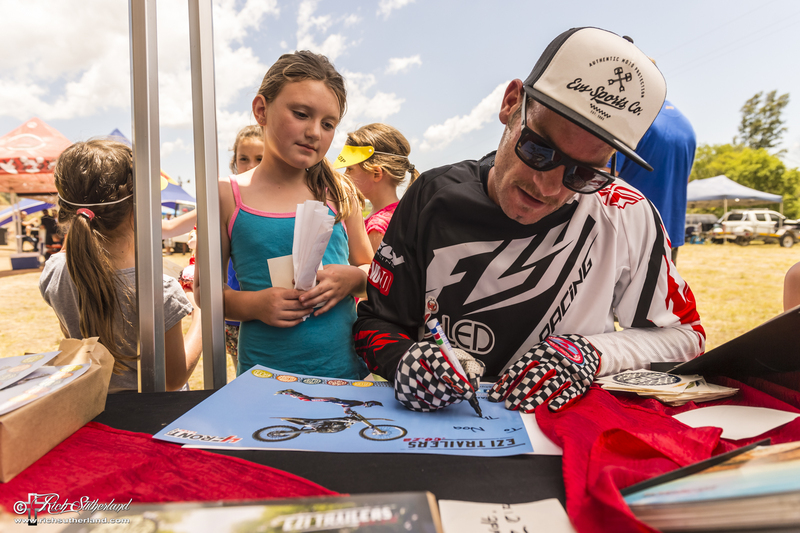 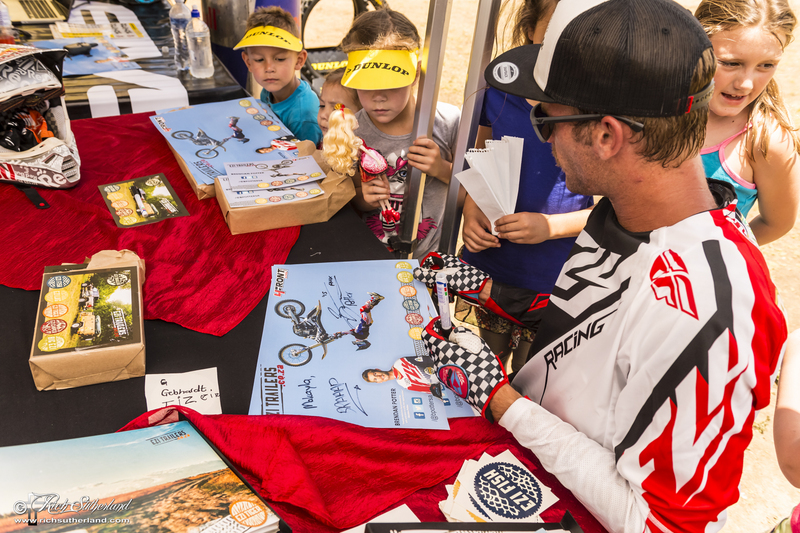 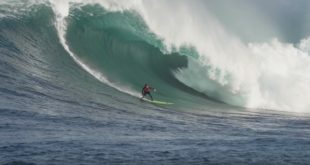 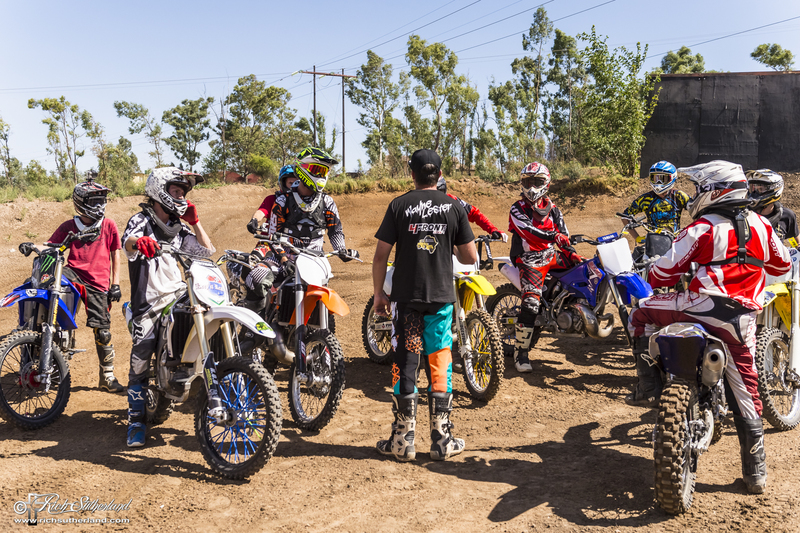 Amateur and Pro-Am riders had the opportunity to take advice and tips from the pro riders during their sessions. 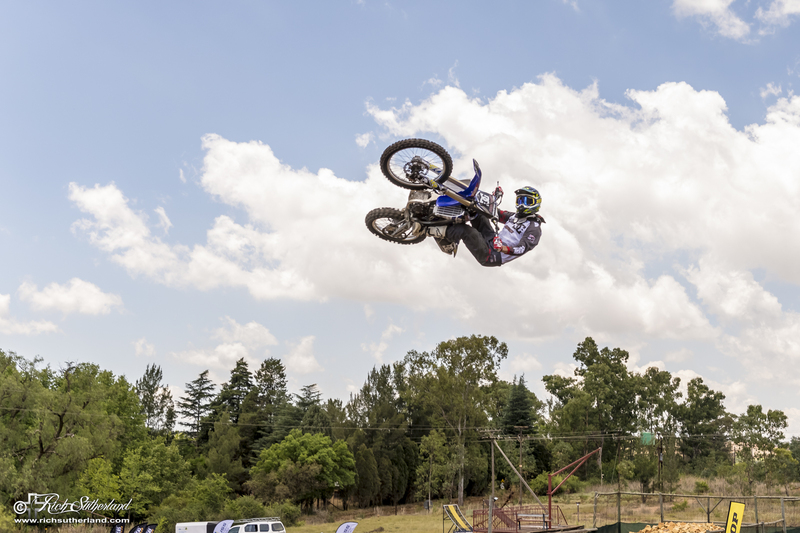 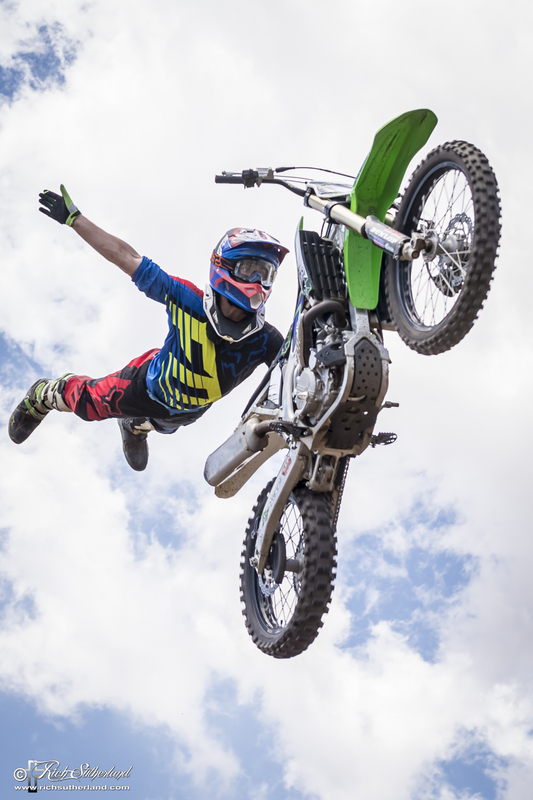 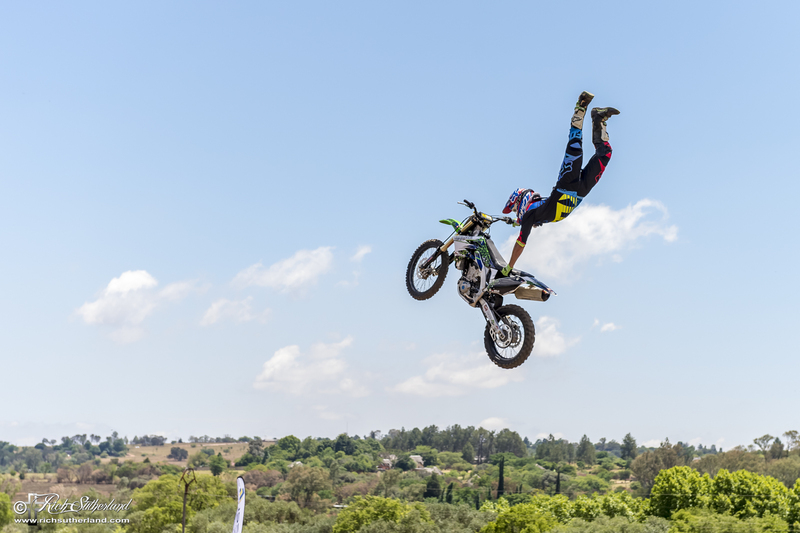 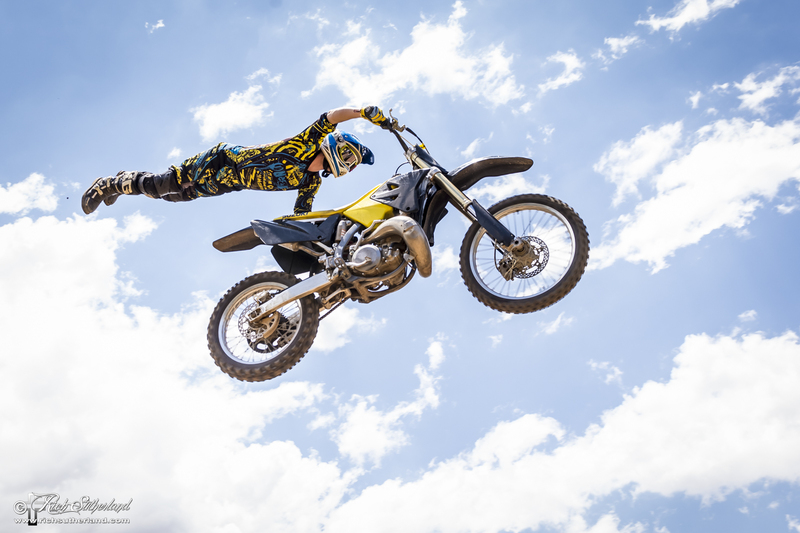 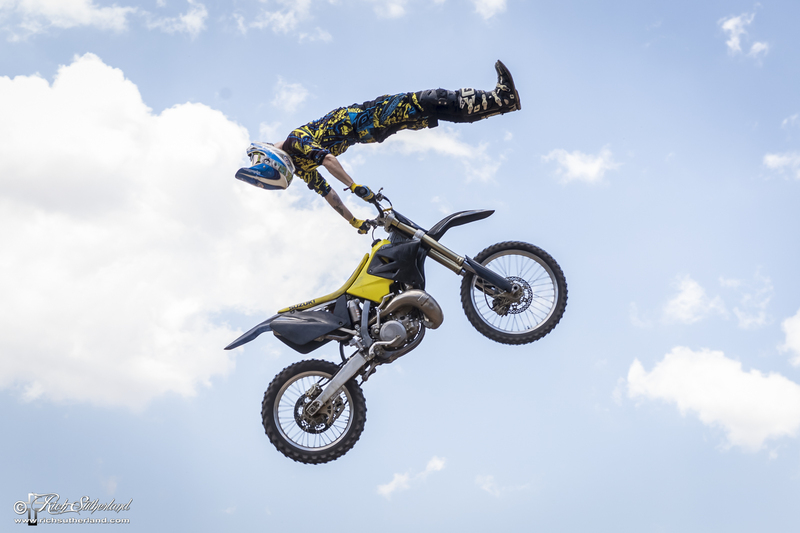 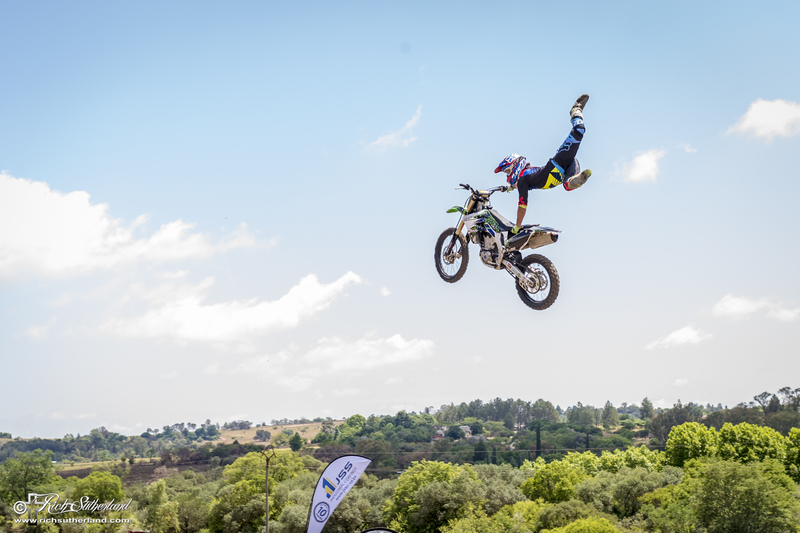 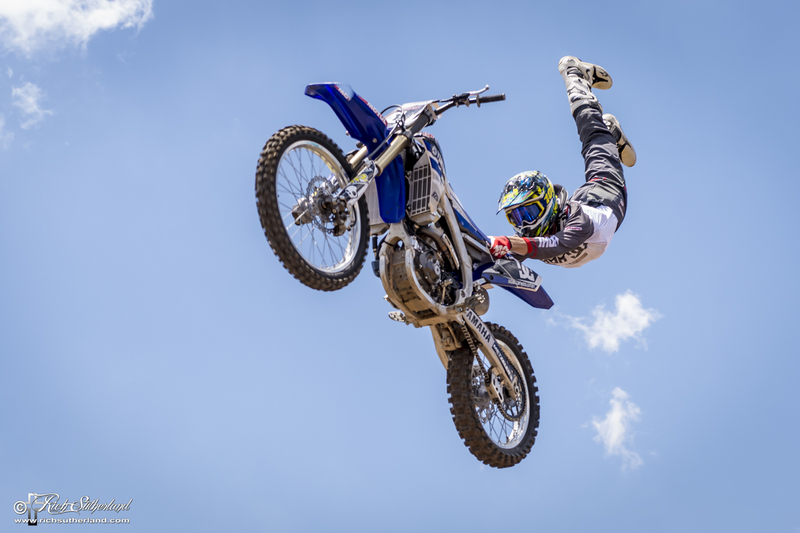 The pro riders put on a showcase of some of the best tricks and style in the FMX world during their demos, all to the enjoyment of the spectators. 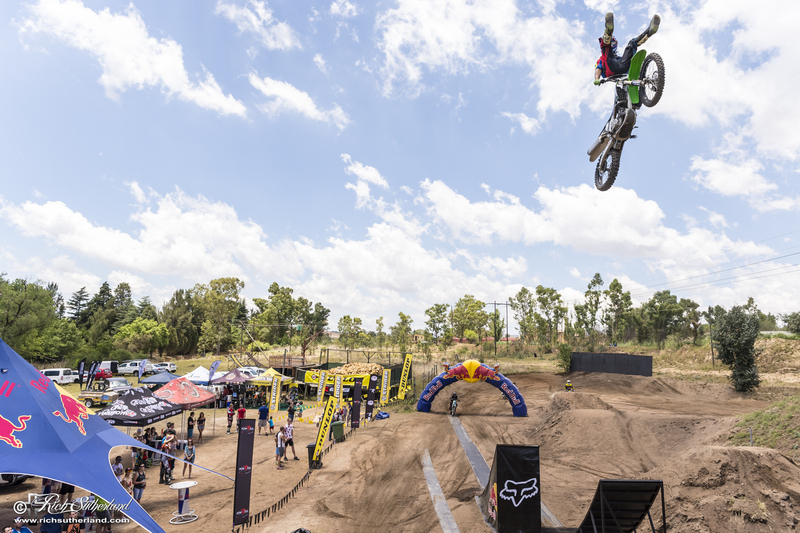 The Best Whip comp and rider trains finished off the day perfectly. 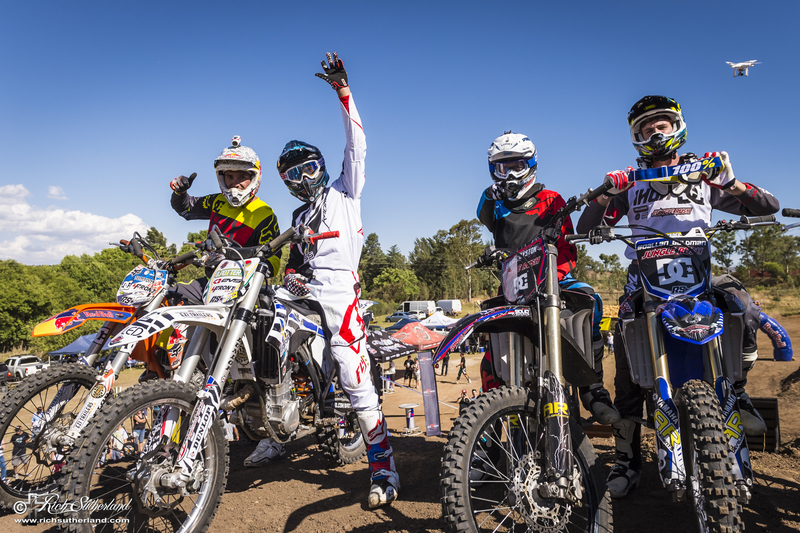 It was a great day out for both the riders and spectators and we can’t wait for the 2016 Open Days. 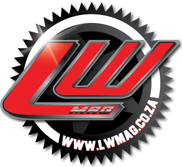 To all involved, well done and thank you. 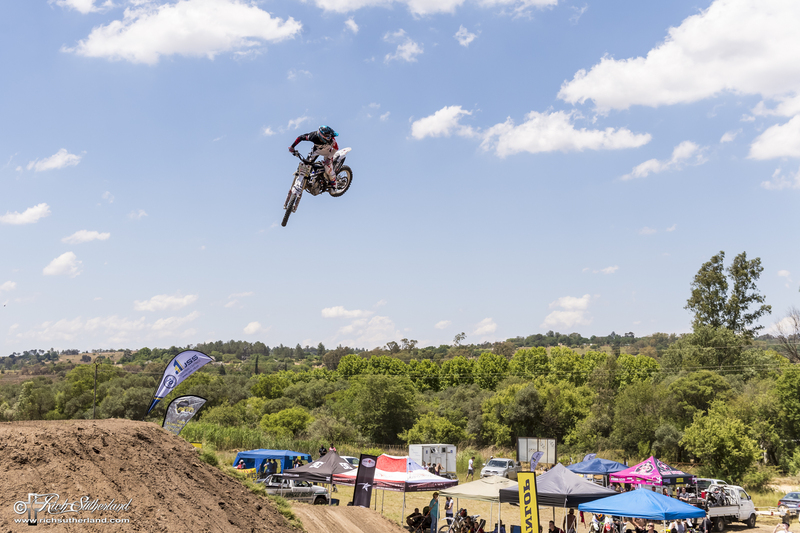 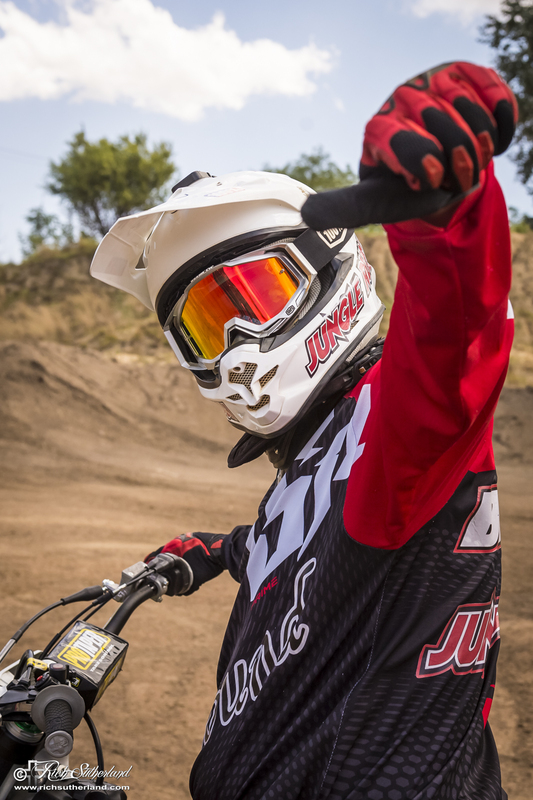 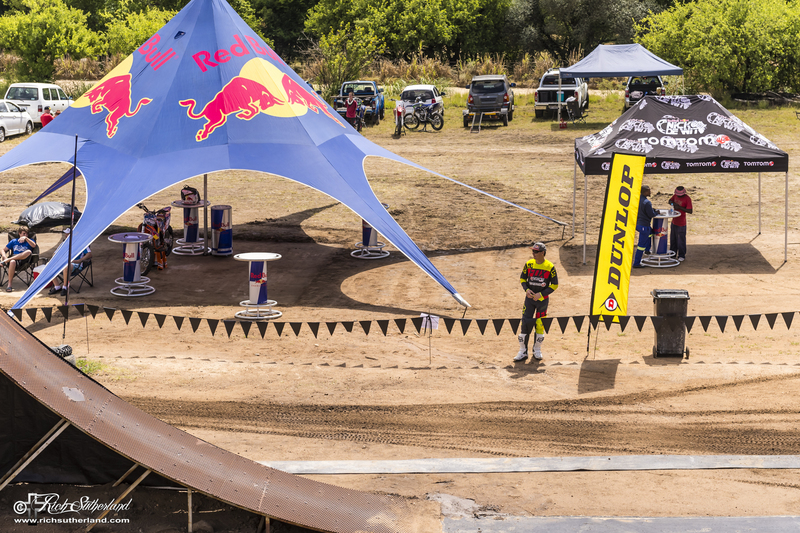 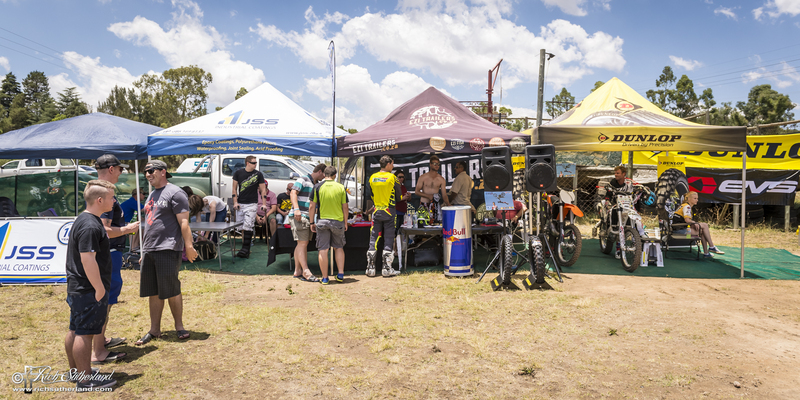 Prizes were handed out to riders that impressed on the day and were sponsored by Dunlop Tyres, EKS Brand Goggles, Nithrone, Powasol, Full Throttle and DC Shoes. 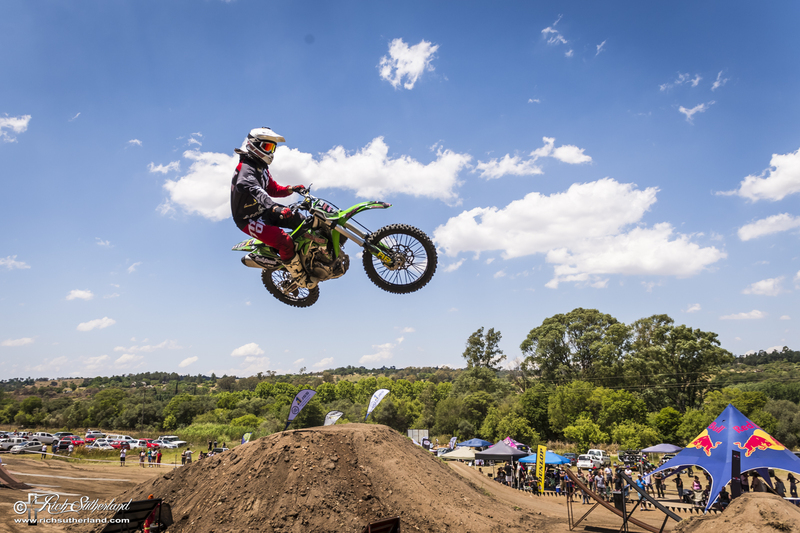 Sponsors: 4Front Live, Red Bull, Renico Construction Group, JSS Industrial Coatings, Henderson Racing Products, Dunlop Motorcycle Tyres, EKS Brand Goggles, Full Throttle , DC Shoes, Powasol, Nithrone, Machinery Contractors and iLed.